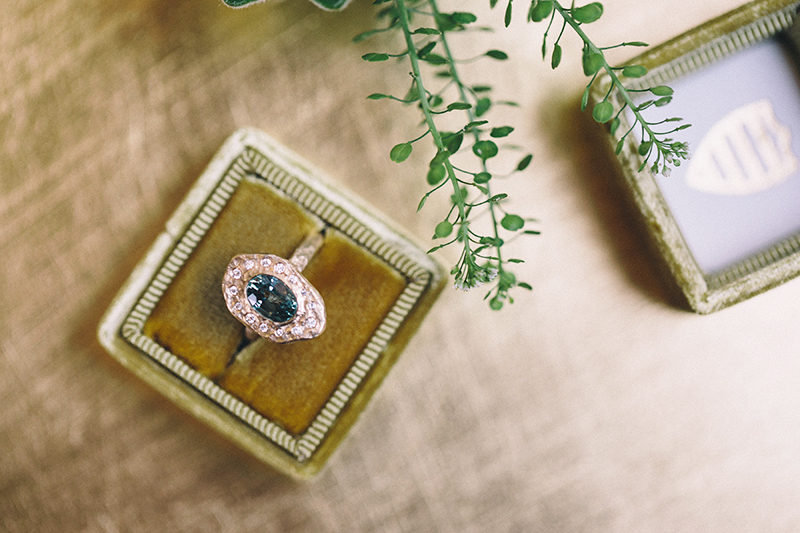 Anouk Jewelry’s Vintage Sapphire Rosetta ring was recently featured on the Vineyard Bride blog and we simply can’t get enough of this beautiful feature! 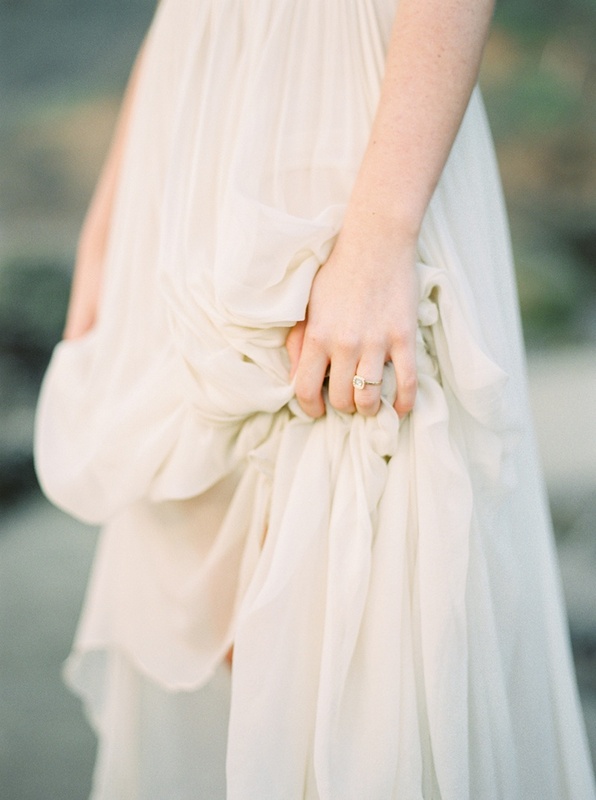 the lovely Lucy Tran captured the soft, romantic style perfectly. 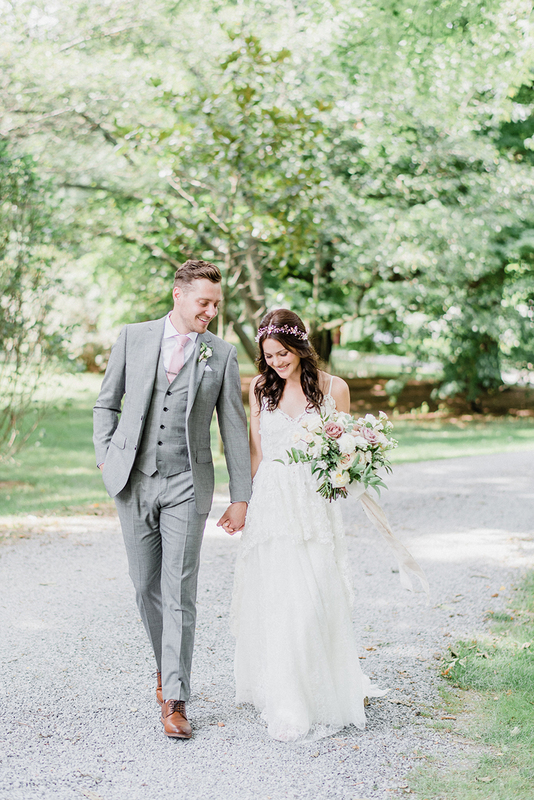 “We stuck to shades of off-white and blush to compliment our lush green surroundings and used pops of apricot and mauve to add a modern vibe to this wedding inspiration. The table looked so romantic with the orchard in the distance, and featured a creamy oatmeal linen, blush chiffon runner and rattan back chairs which provided a natural addition to the scenery. 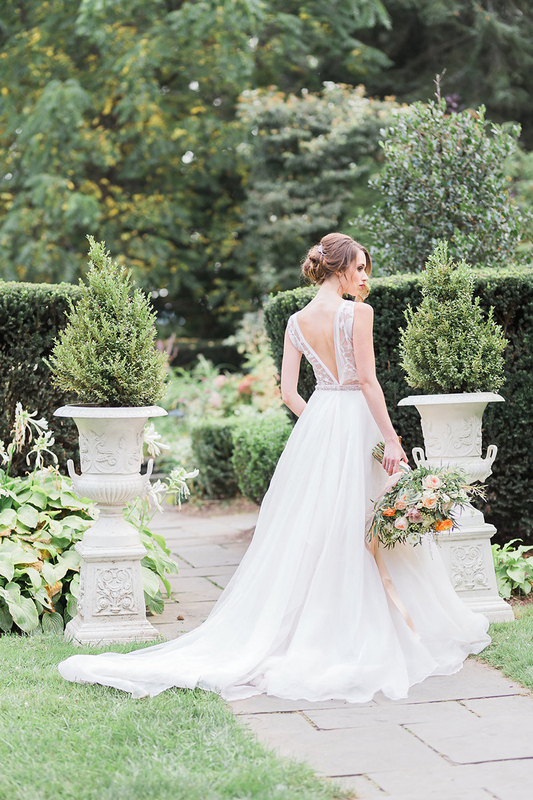 The bride’s style looked elegant and effortless. 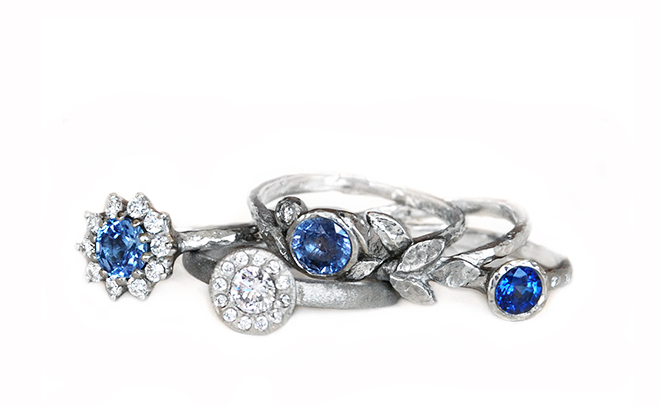 Anouk Jewelry loves creating untraditional engagement rings, working with sapphires for that original yet timeless look. Diamonds are great, but if you prefer a little bit of colour on your hand, sapphires are an excellent alternative! Our Vintage Oval Rosetta with Peach Sapphire ring is a gorgeous take on the classic style, featuring a shimmering oval sapphire, set in a halo of diamonds and cast in 14k yellow gold. This design is available with a variety of gemstones, and can be customized in white, rose or yellow gold. 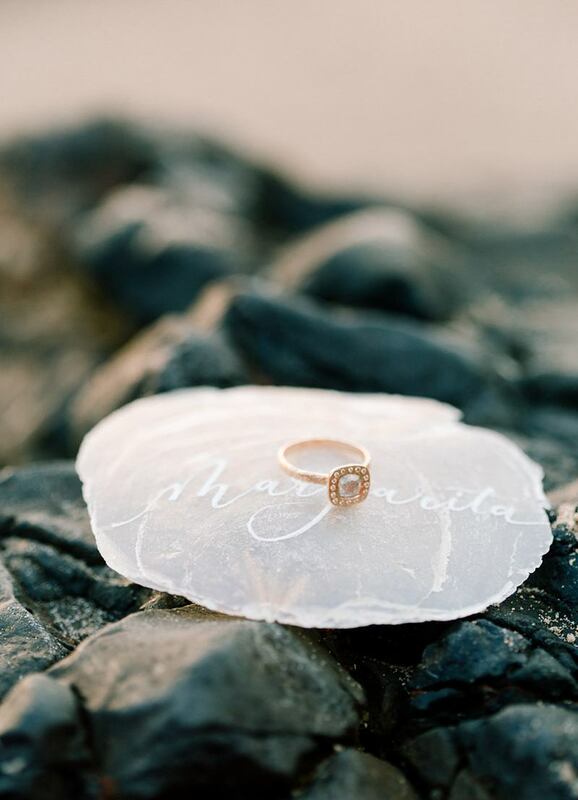 The lovely Vineyard Bride blog recently featured one of our most opulent vintage-inspired designs, the unique Champagne Diamond Cluster ring, paired with one of our most beloved Mens wedding bands, the Seashore Band. Both rings were part of Katie Nicolle’s Fine Art Photography workshop at the incredible Graydon Hall Manor in Toronto. 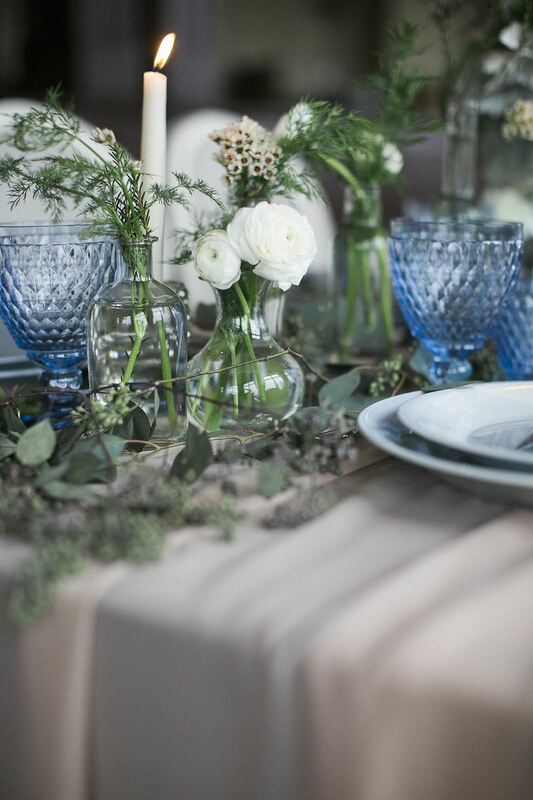 Says the blog, “With styling by Vivian Lyttle Events, the workshop was inspired by European estate homes and all things romantic. Our vintage-inspired luxurious Diamond Cluster ring is set with seventeen champagne diamonds, and looks stunning in a lavish wedding setting! 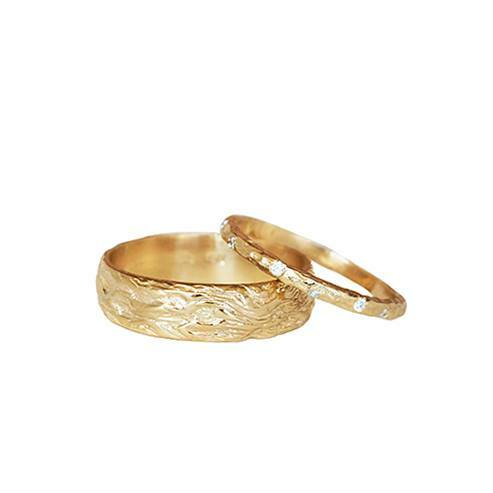 As ever, all Anouk Jewelry engagement and wedding rings are custom-sculpted, and cast in 14k gold. 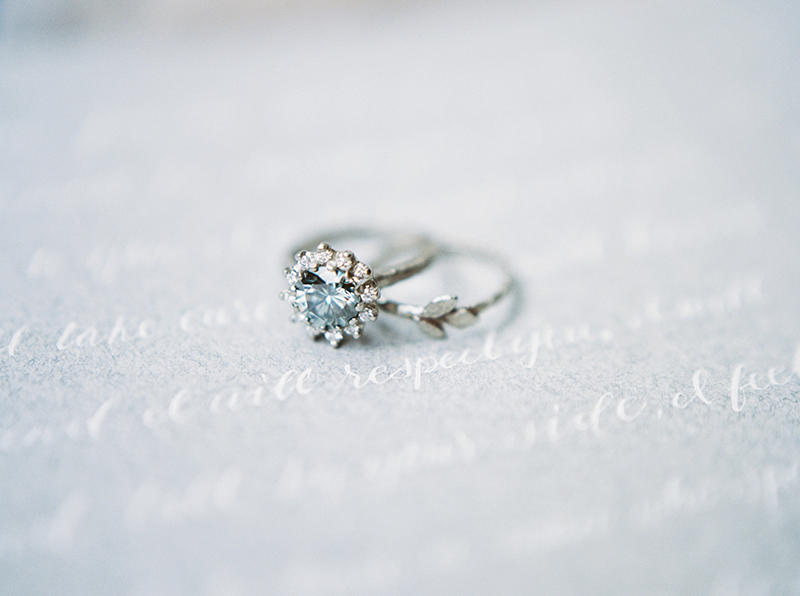 Most engagement rings can be set with alternative gemstones, reflecting the bride’s individual preferences. Our Mens wedding bands designs vary in width and texture to suit your personal tastes and life style. When our friends at BlUUMBLVD suggested we team up for a bridal style photo shoot to be published at Joy Wed, we knew just the design to showcase! We are proud to introduce this gorgeous Vintage Rosetta ring, set in 14k white gold and featuring a striking blue moissanite surrounded by a halo of diamonds. 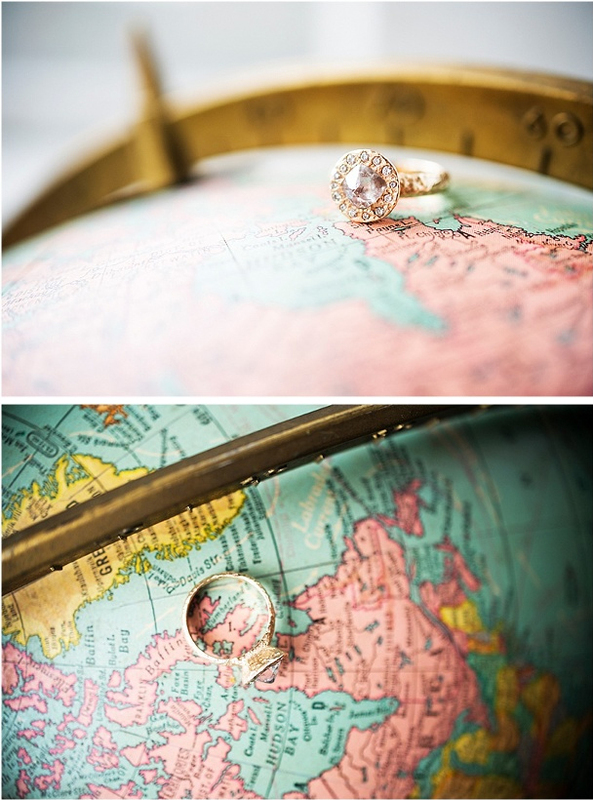 Using a moissanite as a central stone in your ring means making an environmentally ethical choice. 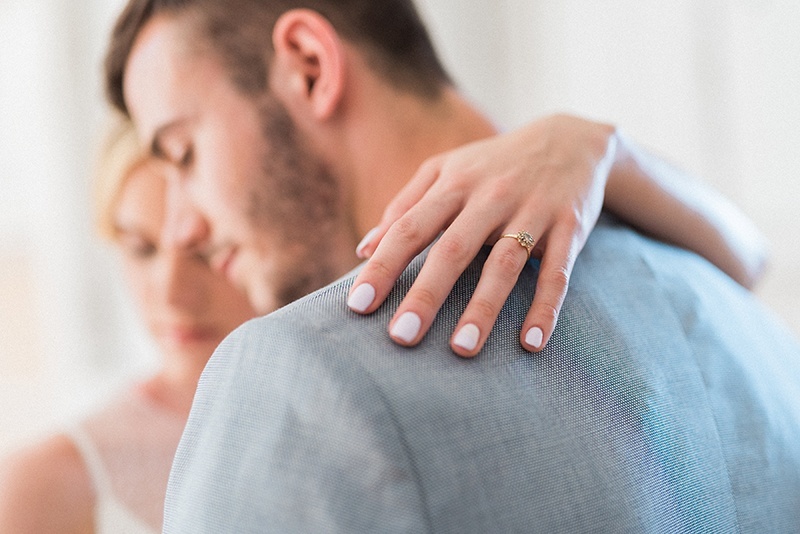 As they’re man-made, moissanites don’t require mining and though they don’t come from the earth, they are none-the-less beautiful and durable gemstones. Their colours are versatile and they are more affordable than diamonds. Our vintage-style engagement ring is paired with a wedding band from our Golden Leaves collection, the nature-inspired Triple Leaf band. Perfectly suited for a Boho bride, this band is cast in 14k white gold, carrying with it a touch of spring… wherever you are! It’s not every day we are lucky enough to design an engagement ring and a set of wedding bands for our friends. 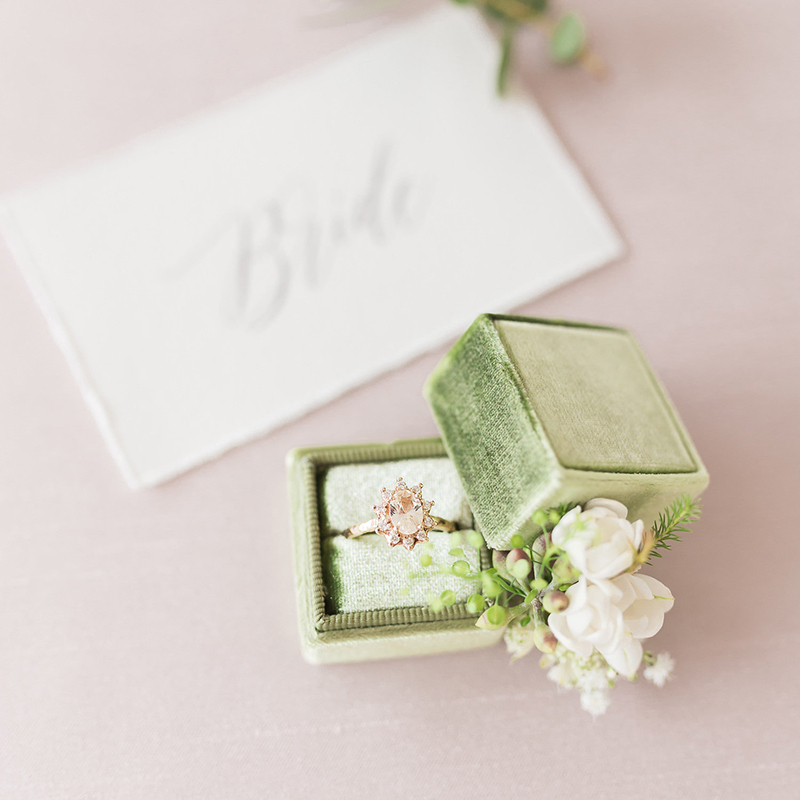 A few months ago, Anouk Jewelry had the pleasure of creating a gorgeous Peach Sapphire Vintage Rosetta ring with a matching Spring Leaves band and the Organic Mens band in rose gold for a very special couple. 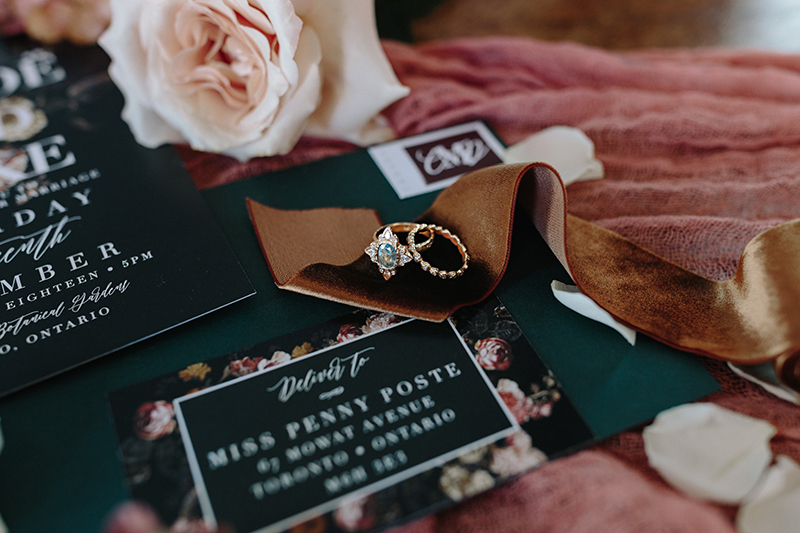 Deanne MacRae is one of our favourite wedding photographers and we were honoured to create the rose gold set of rings for her and her groom’s special day. Often couples choose to coordinate their wedding bands. While Anouk Jewelry offers several matching wedding band sets, such as the Fine Sand set, the Moonlight set or the Timeless set, sometimes simply coordinating the band colour does the trick! Our Mens wedding bands are available in a variety of widths to compliment larger, or more slender hands. One of our best loved bands, the Organic Mens band comes in yellow, rose or white gold. 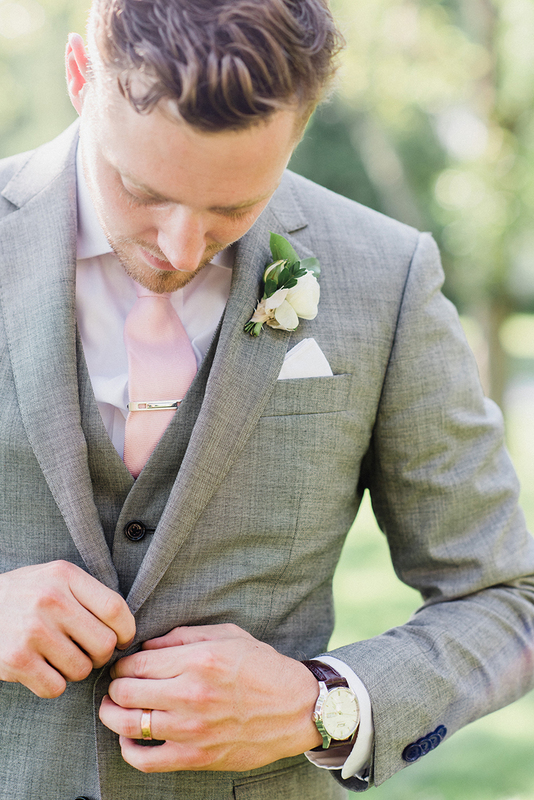 A comfort fit will ensure the band feels just right, even if you’ve never worn a band before. And a personal engraving on the inside of the band is an especially touching way to communicate with your partner! 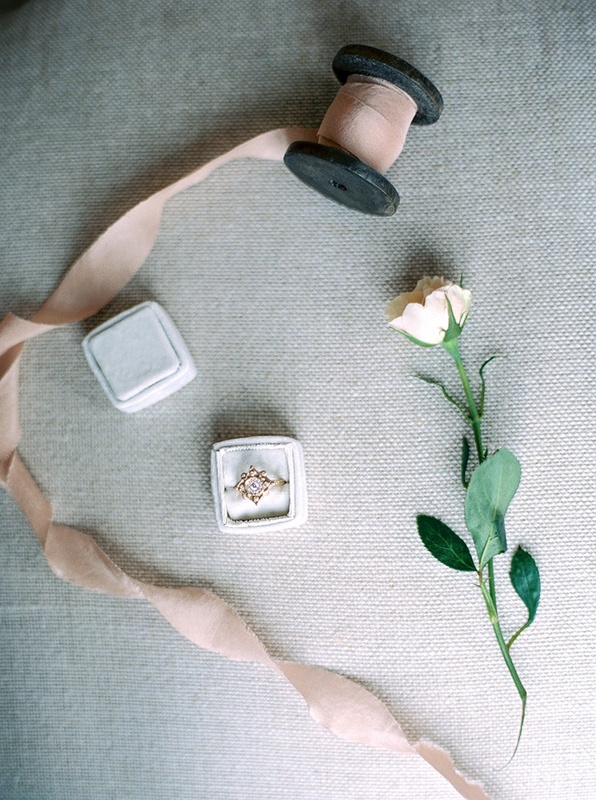 One of our most beloved alternative engagement rings, the Vintage Rosetta is as versatile as the brides’ personalities. Available in yellow, rose or white gold, it features a central stone of your choosing – most often a diamond, a sapphire or a moissanite, surrounded by a halo of gemstones. A perfectly classic design with a touch of modern sensibility, it is a true masterpiece and we are thrilled to recreate it on a regular basis. 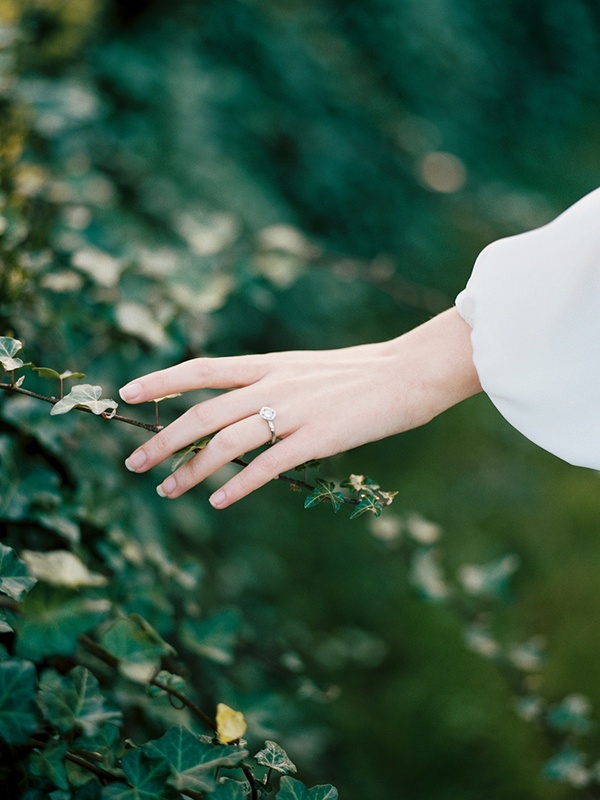 Anouk Jewelry’s Spring Leaves band perfectly compliments an engagement ring with a larger stone, embracing it from below. This delicate golden leaf design features a small diamond, adding a sparkle to the hand. 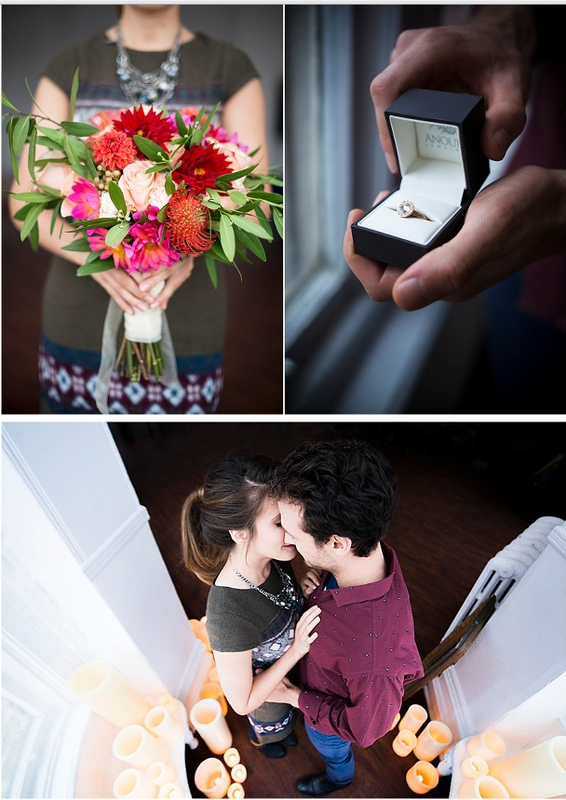 Our design process starts with Anat meeting the couple to discuss their ideas for the rings. A meeting in person is a great opportunity to share our design philosophy, and learn about the couple’s taste and preferences. Some people have a clear vision of what they’re after, and some appreciate a gentle guidance selecting a ring to reflect their love. 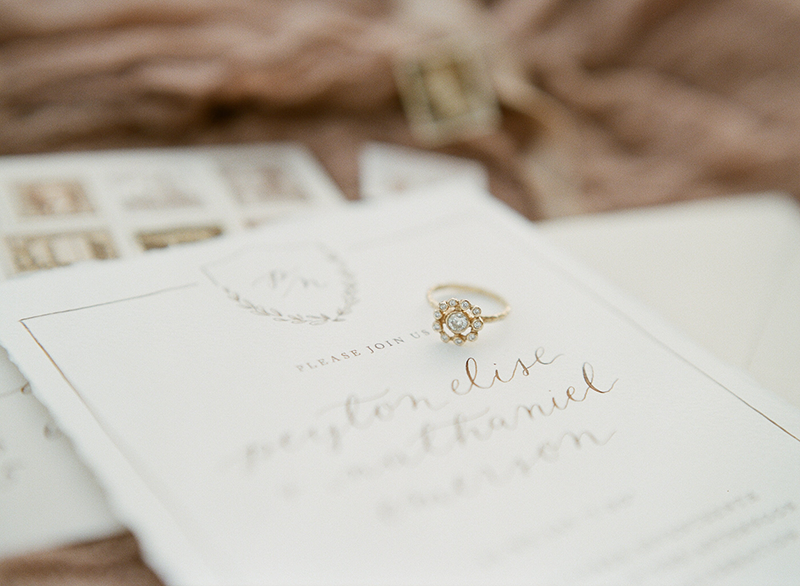 We’d love to hear from you and look forward to designing the perfect ring set for your special day! We’re simply in love with this unique free-form oval green sapphire halo engagement ring! The fresh green sapphire matches the summer tones perfectly, looking chic set among the halo of accent diamonds in the yellow gold ring. 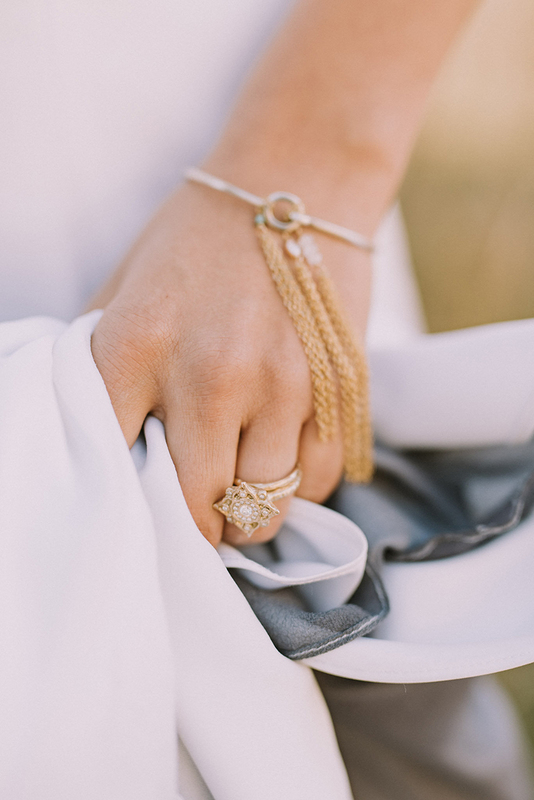 Anouk Jewelry ‘s one of a kind free-form designs are inspired by nature and are a perfect fit for unconventional boho brides, who think outside the box. 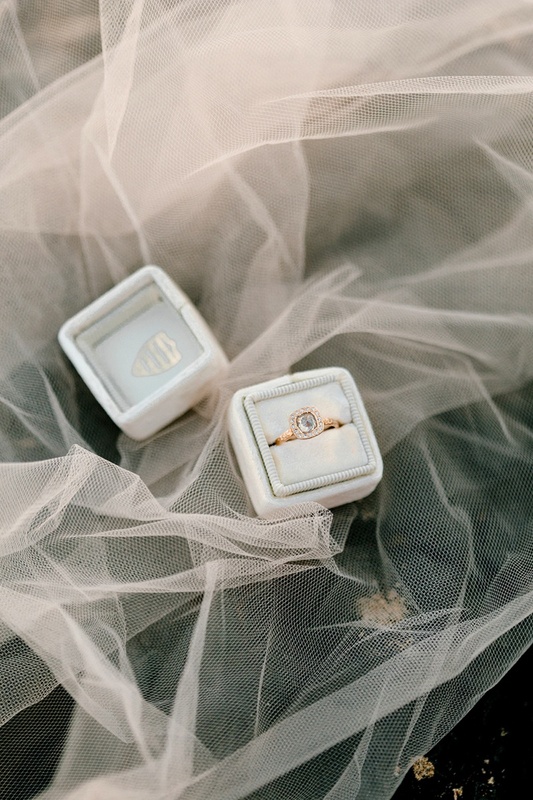 The lovely photographer Shelly Spithoff captured our ring beautifully, while Vineyard Bride blog showcased it in a well-curated collection of images. 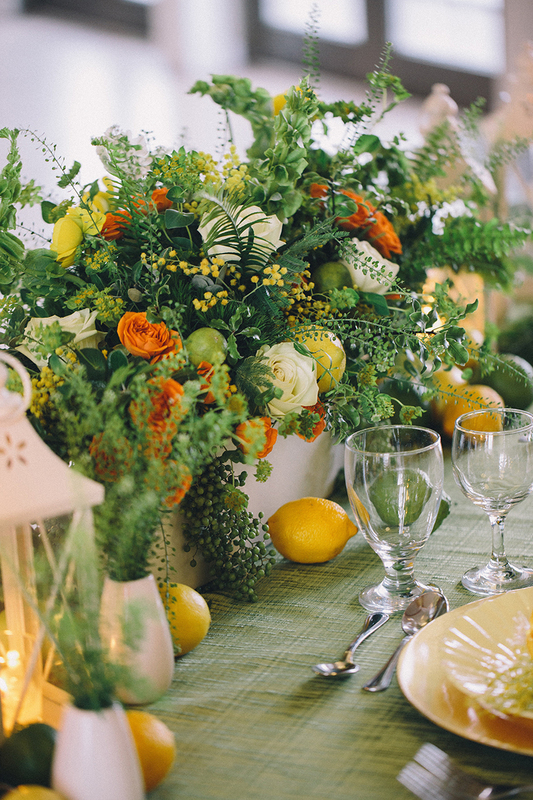 The green and yellow hues are echoed throughout the feature in the summer-fresh citrus fruit colour scheme of lemons and limes. 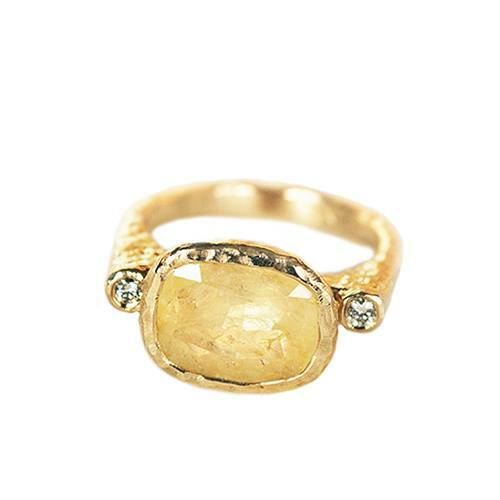 The warm yellow and green colours of summer inspired this alternative sapphire ring. 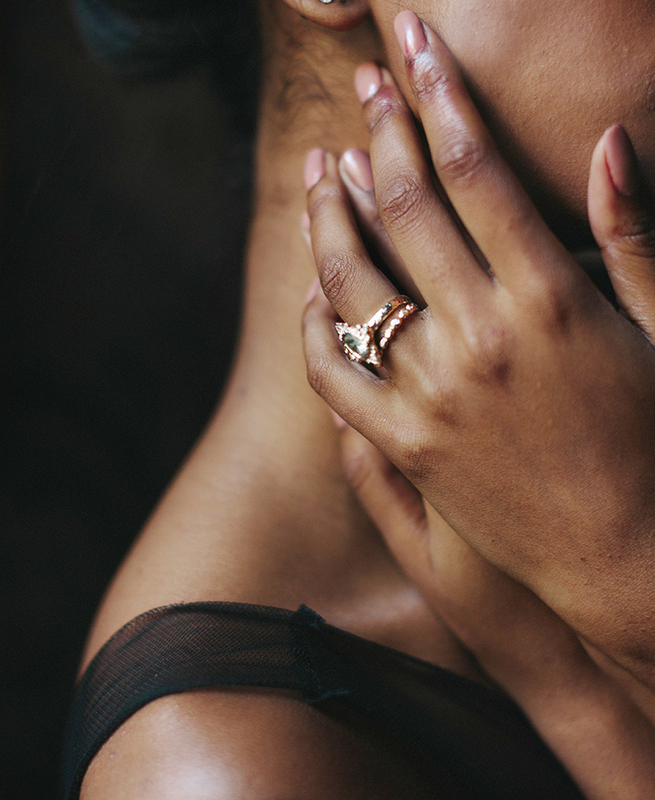 The design was first hand sculpted in wax before being cast in gold, and its organic free form mimics natural flowing shapes, giving the ring that unforgettable look and feel. We just love the harmony of shape and colour in this gorgeous design that truly stands out from the crowd! What a great homage to nature, and what a romantic way to carry the summer with you wherever you go! Green sapphires are one of our favourite go-to gemstones, because of their durability and the beautifully rich colours. No two sapphires are alike, and range in hues from the cool deep purple and blue, to teal, green, and all the way to the warm yellow, peach and orange colours. This makes them a very versatile gemstone to work with and a great alternative to the more traditional diamonds. Anouk Jewelry uses sapphires widely in our engagement, statement and signature ring collections. As with most Anouk Jewelry pieces, this unconventional sapphire engagement ring design is fully customizable and is available with a variety of gemstones, set in yellow, rose or white gold and platinum. 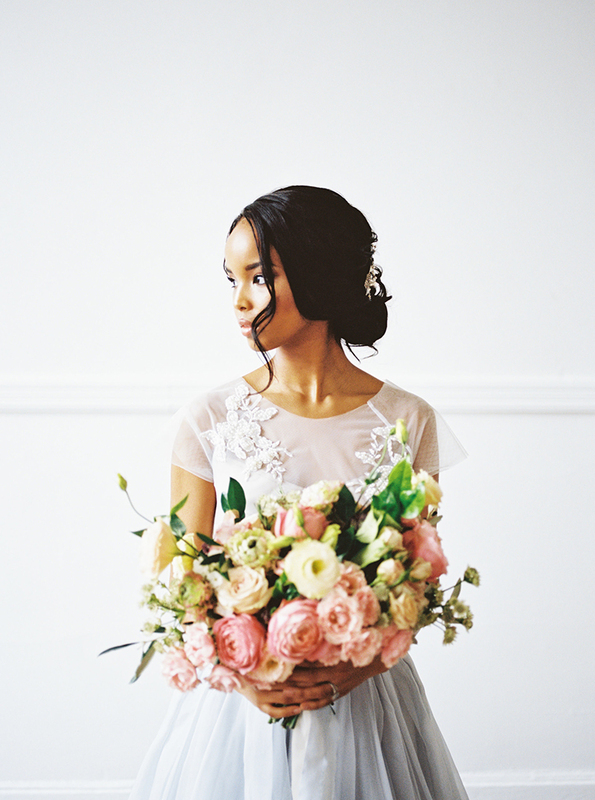 Our first feature on Hey Wedding Lady is a beautiful spring-theme wedding style shoot. 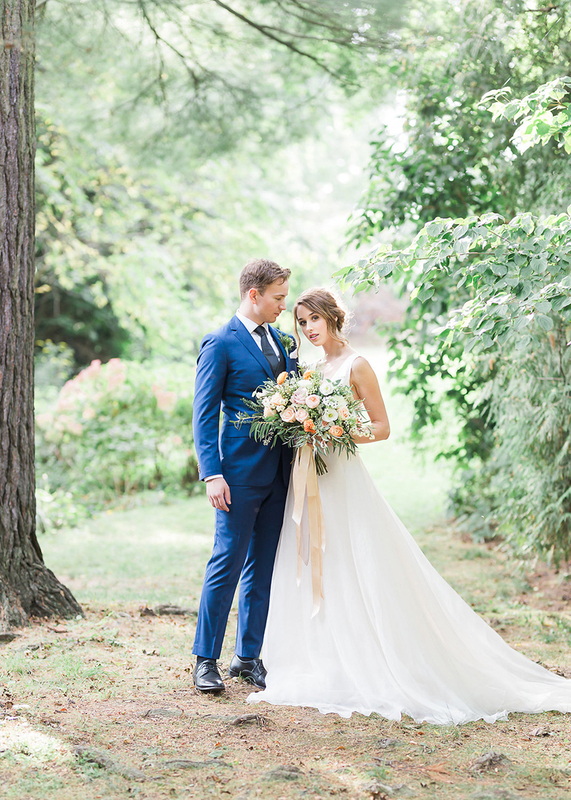 We’re thrilled to partner once more with the talented Lucy Tran Photography and Swoon Weddings & Events, who created a truly inspirational story. 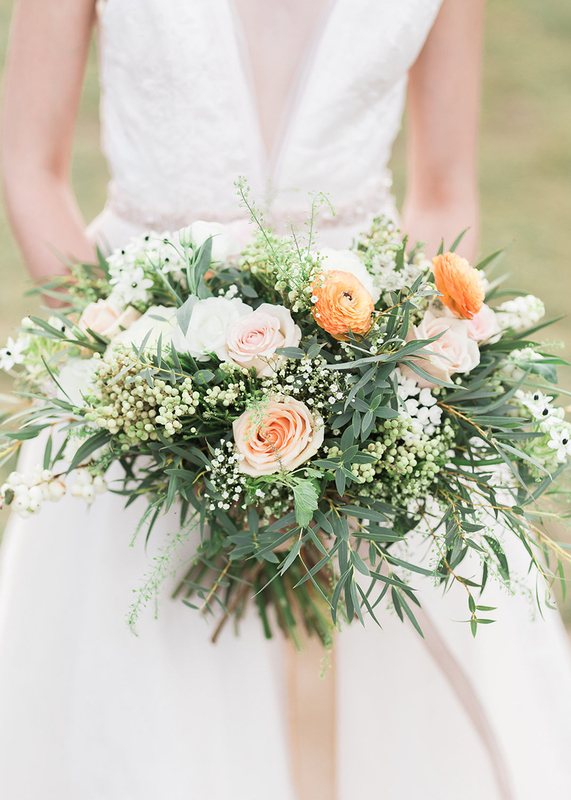 “Dreamy spring florals and an effortless palette of peach and green give this charming winery wedding shoot a fresh feel! 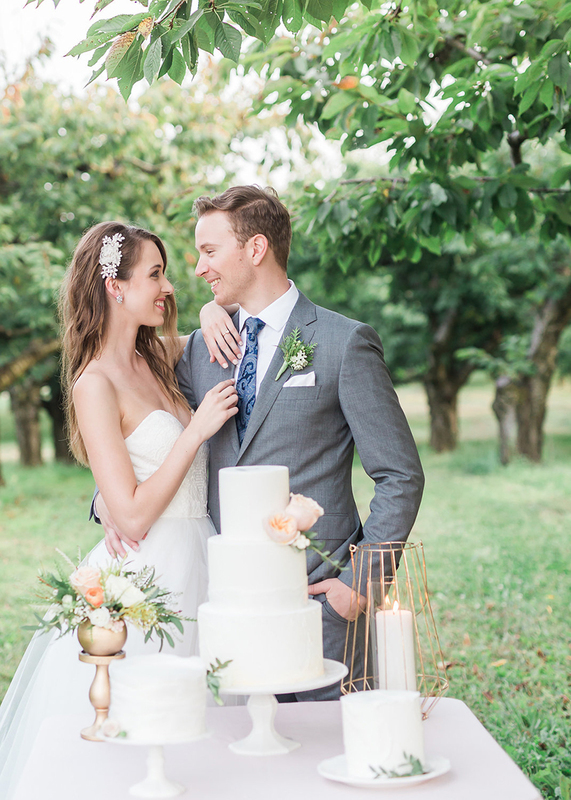 Ontario wedding pros, LUCY TRAN PHOTOGRAPHY and SWOON WEDDINGS & EVENTS, were inspired by the natural beauty of the vineyards and orchards to create this charming inspiration for a spring wedding day! 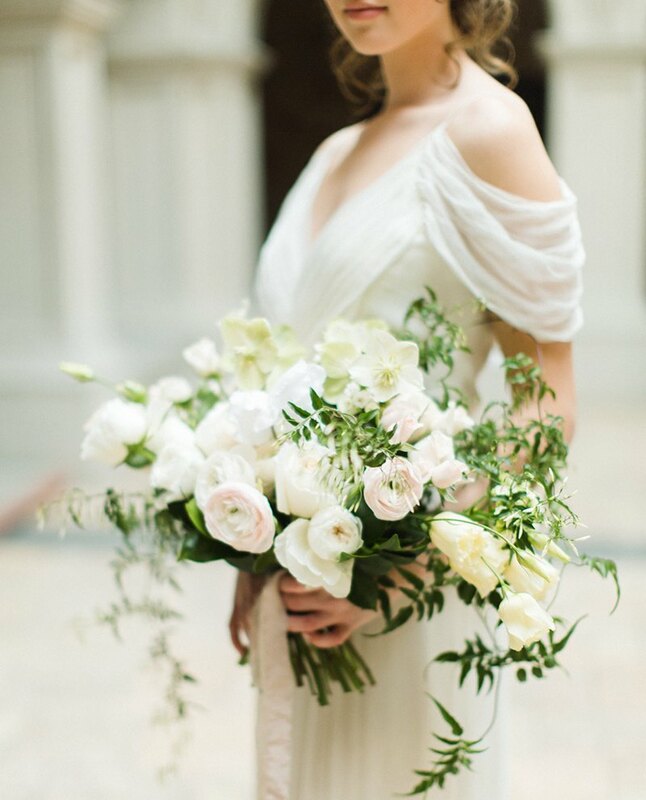 Nothing says effortless bridal style, quite like a flowing organza gown, coupled with the lush spring florals. 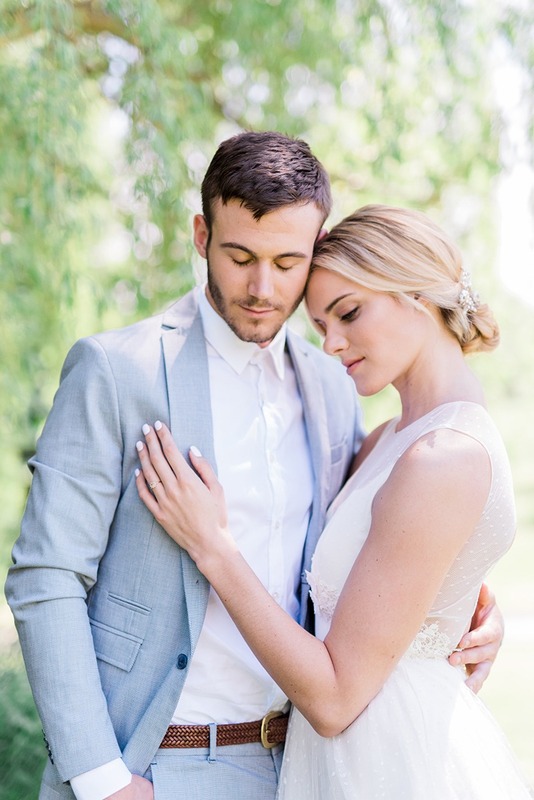 The couple captured intimate portraits in the winding lane and formal gardens of GRACEWOOD ESTATE before sitting down for dinner at a reception alongside the vineyards. 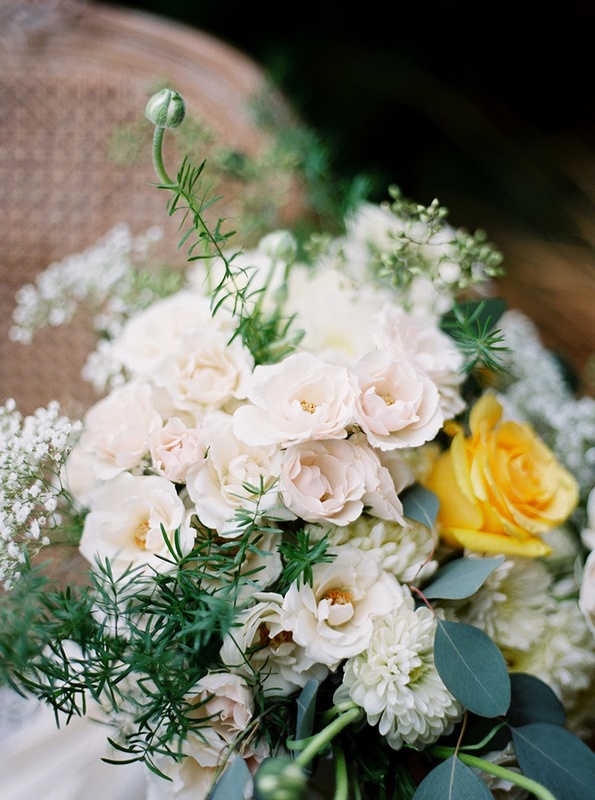 The bouquet’s greenery and peach flowers complement the formal gardens of the estate in all of their blooming glory. 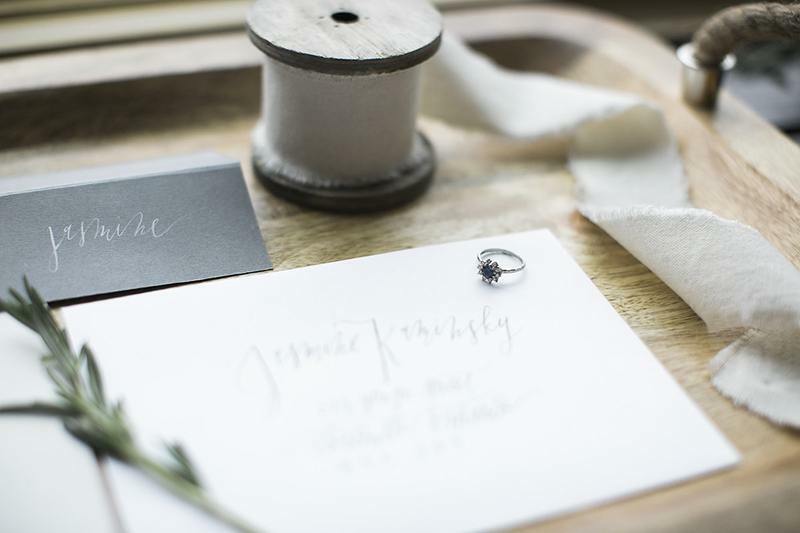 Delicate gray calligraphy signs from PINK PEONY PRESS marked each table and place setting with a romantic touch, alongside gold flatware and vintage china,” gushes the blog. 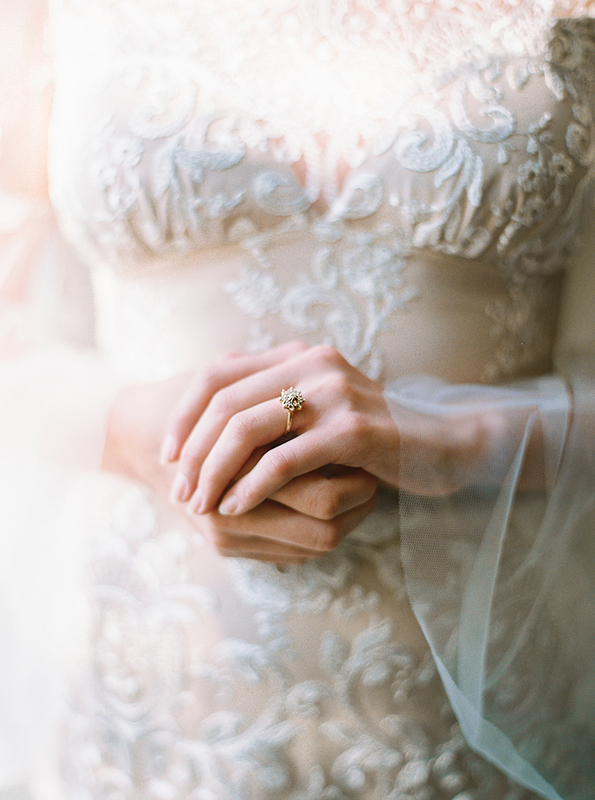 The bride is wearing Anouk Jewelry’s gorgeous Vintage Rosetta, set with a stunning golden Sorbet Sapphire and a halo of diamonds. 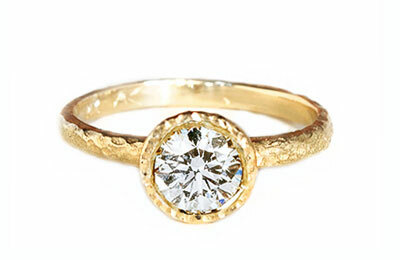 This unique ring is a perfect choice for a couple looking for a vintage engagement ring with a modern spin. As with most our pieces, this alternative engagement ring design is fully customizable and is available with a variety of gemstones, set in yellow, rose or white gold. 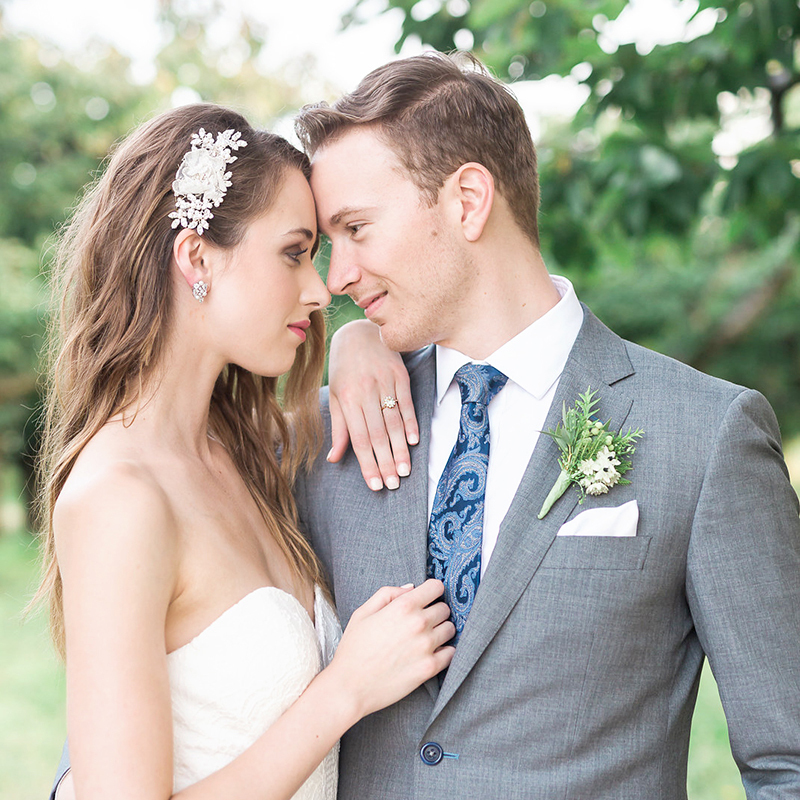 “We’re feeling smitten over this wedding inspiration because, well, there is just so much to love! 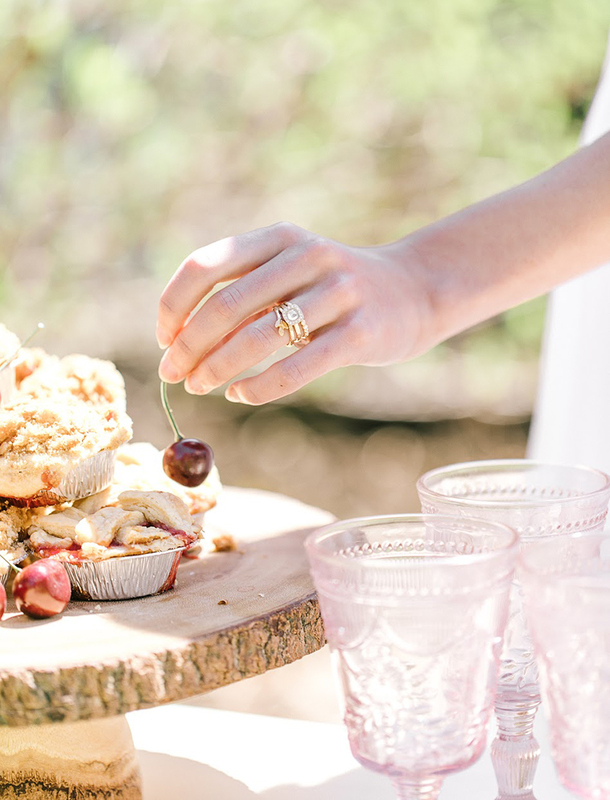 If you’ve ever dreamed of a princess-worthy wedding filled with cherry blossoms, … then you’re in for a treat” gushes Wedding Chicks about the lovely bridal style shoot we took part in last summer. 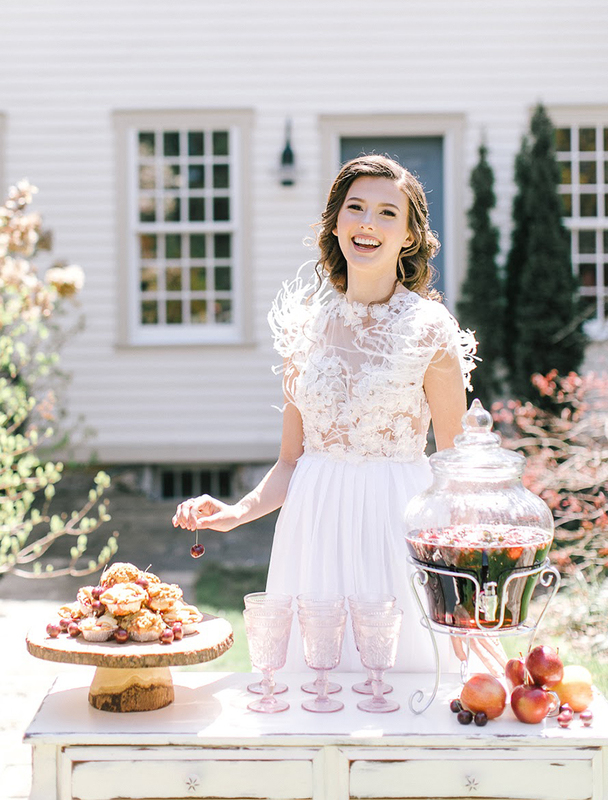 Our friend and frequent photoshoot partner Alana Klein, of Swoon Weddings & Events “brought this magnificent shoot together with over-the-top details including cotton candy, pastel balloon tea party and the prettiest wedding cake imaginable. 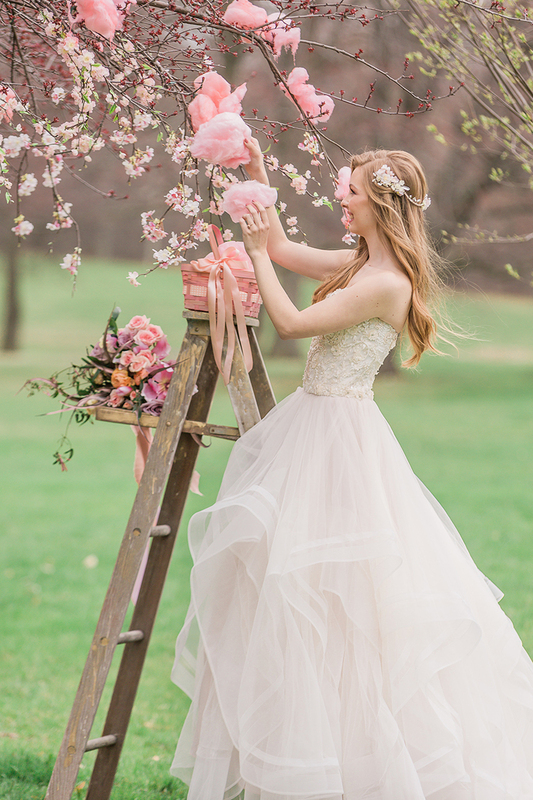 The cherry blossom orchard at the Estates of Sunnybrook’s McLean House was a magical location for this pink-filled day, and we’re excited to share all the beautiful images with you from Samantha Ong Photography” continues Wedding Chicks. 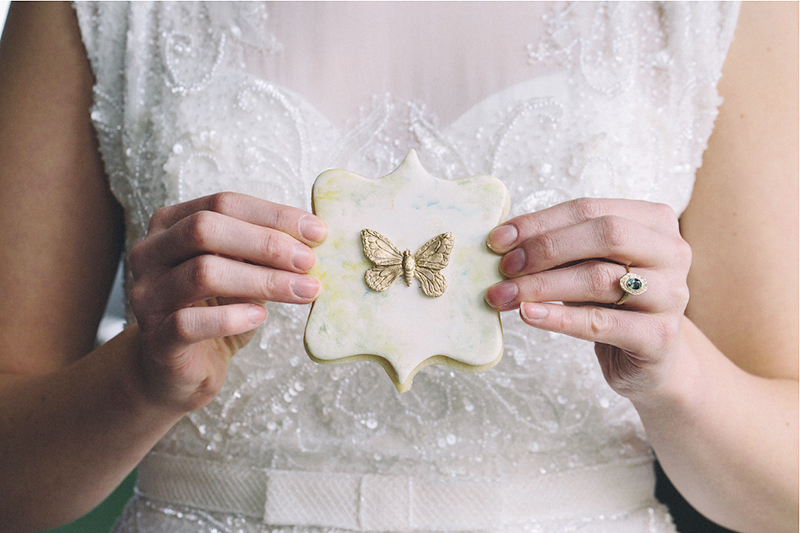 This whimsical style photoshoot was also featured on Elegant Wedding blog, and we couldn’t be happier with the spread! 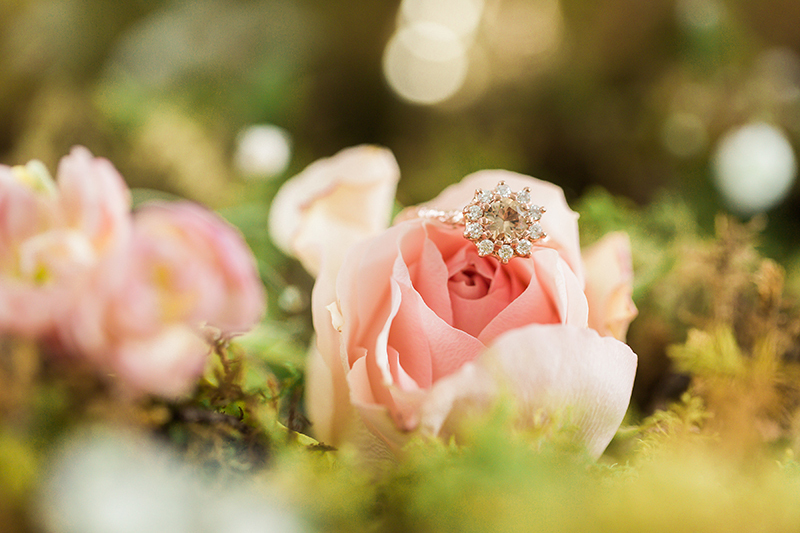 Our rose gold Vintage Rosetta with a natural, untreated peach sapphire from Sorbet Sapphire was selected to compliment the dreamy setting. 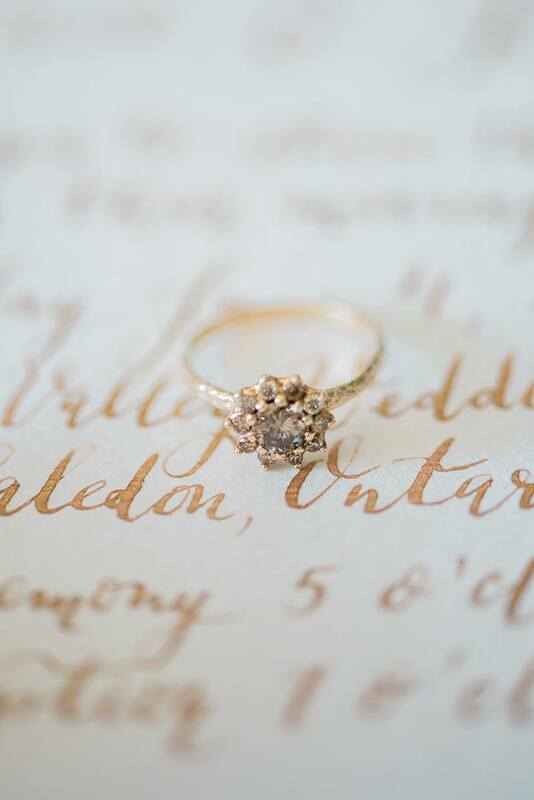 This vintage-inspired design is a favourite with bohemian brides in search of a non-traditional, yet classic engagement ring. What makes it even more unique is a combination of peach sapphire and rose gold, that creates a soft and romantic look. As with most Anouk Jewelry creations, this design is available in rose, yellow or white gold with a variety of gemstones. Recently Anouk Jewelry teamed up with the talented Tamara Lockwood, taking part in an elegant styled outdoor photoshoot. 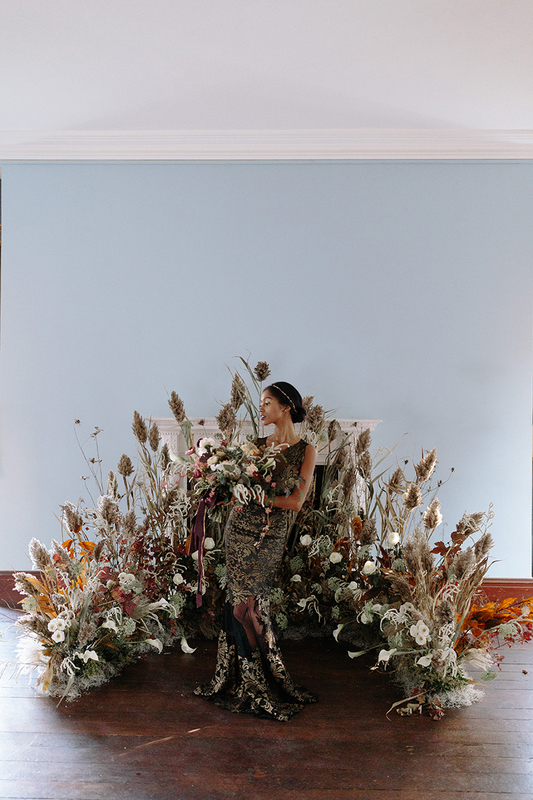 The beautiful results of this inspired collaboration were featured in Wedluxe last month. 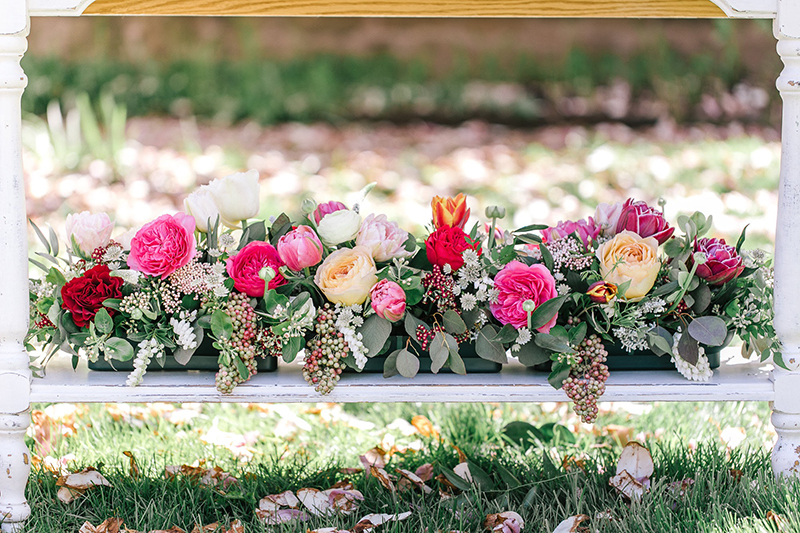 Celebrating the last sunny days of late summer, we simply can’t get enough of the vibrant colours of this lovely wedding inspiration. 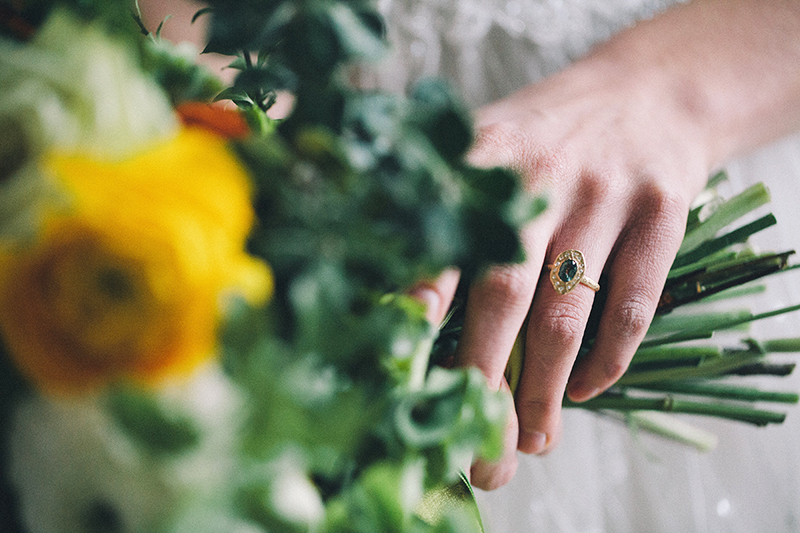 The bright colours of the tablescape flowers complement nicely the bride’s warm-tone yellow gold rings. 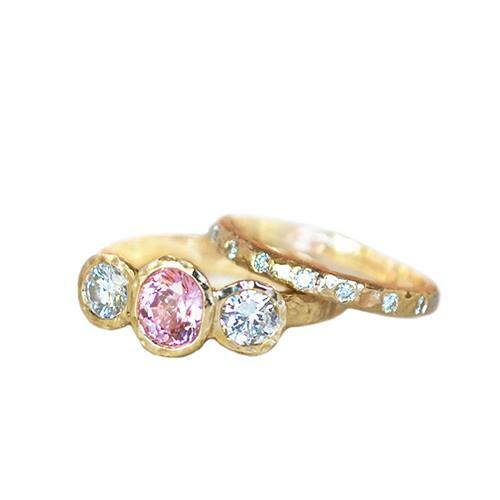 Three of Anouk’s signature rings are playfully stacked together. 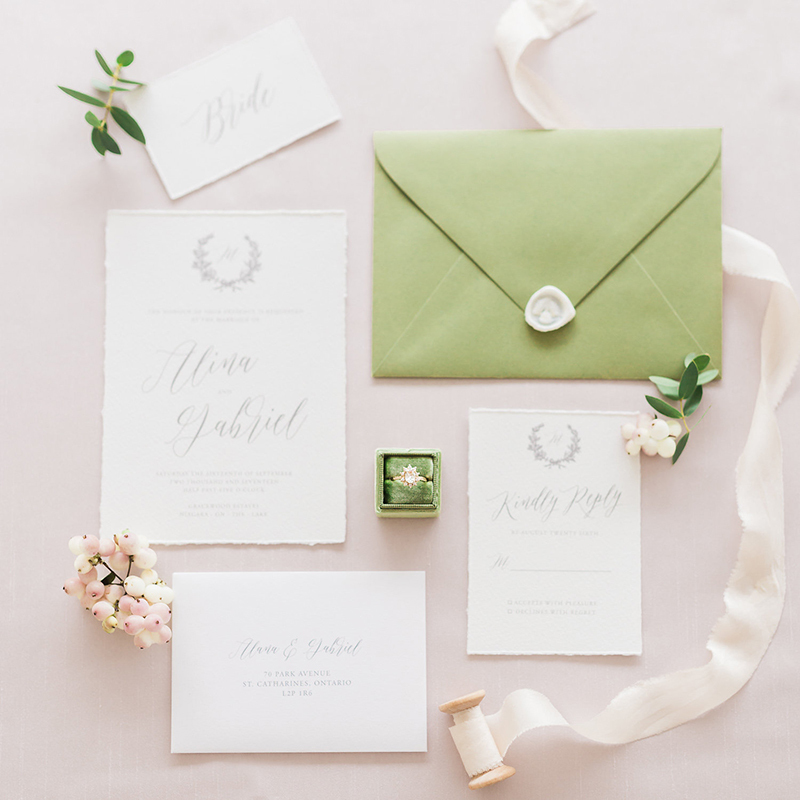 As most our designs are stackable, we encourage the brides to experiment with different styles and combinations, discovering that original look that’s uniquely their own. The star of the show is our classic Rustic Canadian Diamond Cushion Halo engagement ring with an alternative twist of Seashore texture. It boasts a rosecut diamond mined locally in Canada, and a halo of accent diamonds, artistically set in 14k hammered yellow gold. 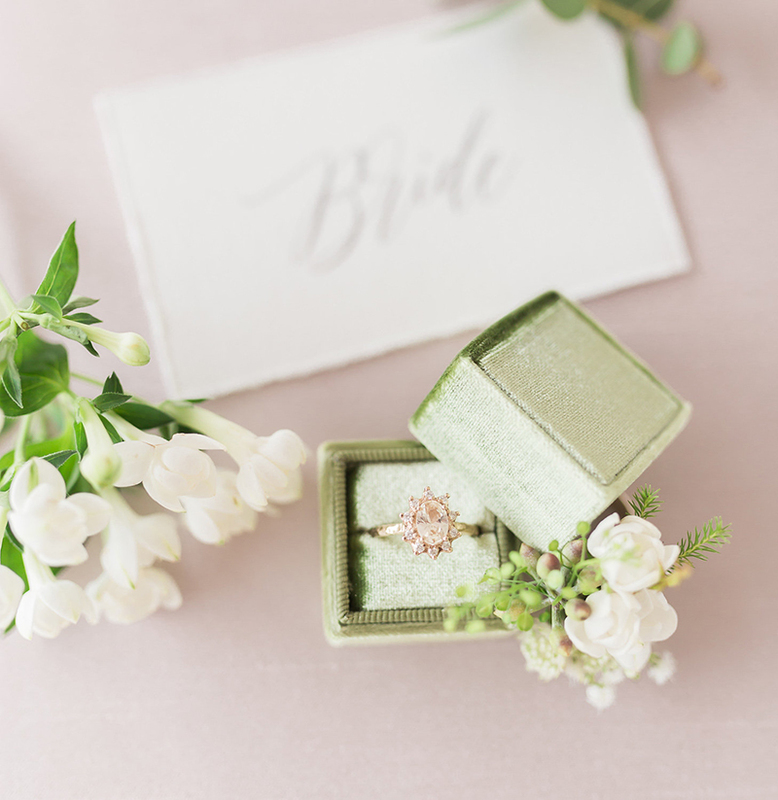 The bride is pairing the engagement ring with a nature inspired Morning Dew Band – a perfect choice if you’re looking for a little bit more sparkle to add to the set! The band features nine accent diamonds, and is available in rose, yellow and white gold. 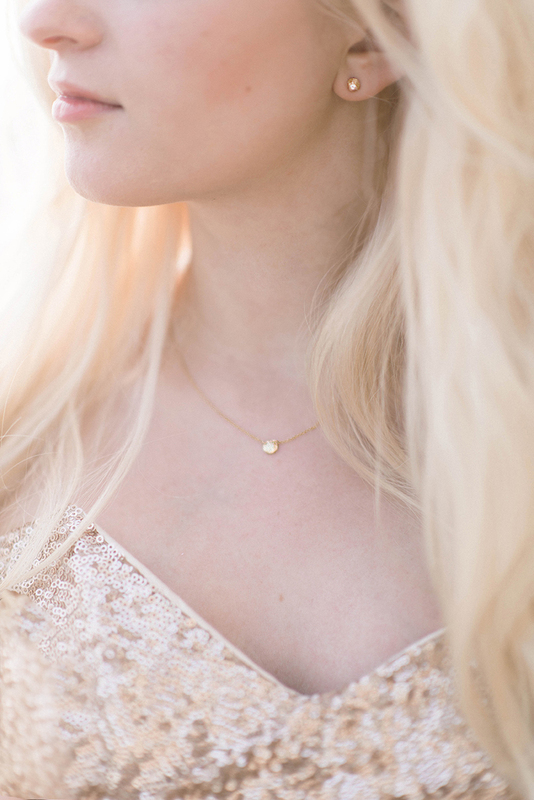 And finishing the look is a delicate gold piece from our Golden Leaves collection. Leafs Twig band is a favourite with nature inspired boho brides looking for organic, non-traditional rings to complete their style. All our designs are fully customizable to make them truly one of a kind. 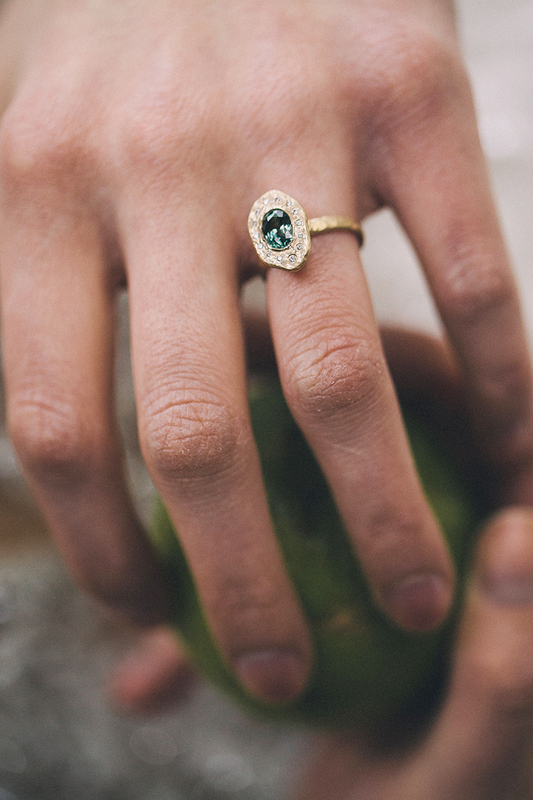 The rings may be set with a variety of gemstones (may we suggest green sapphires?) and are available in yellow, white and rose gold, as well as platinum. Spring is around the corner and after months of cold weather, all we want is some sunshine. What better occasion to reminisce of the beach! 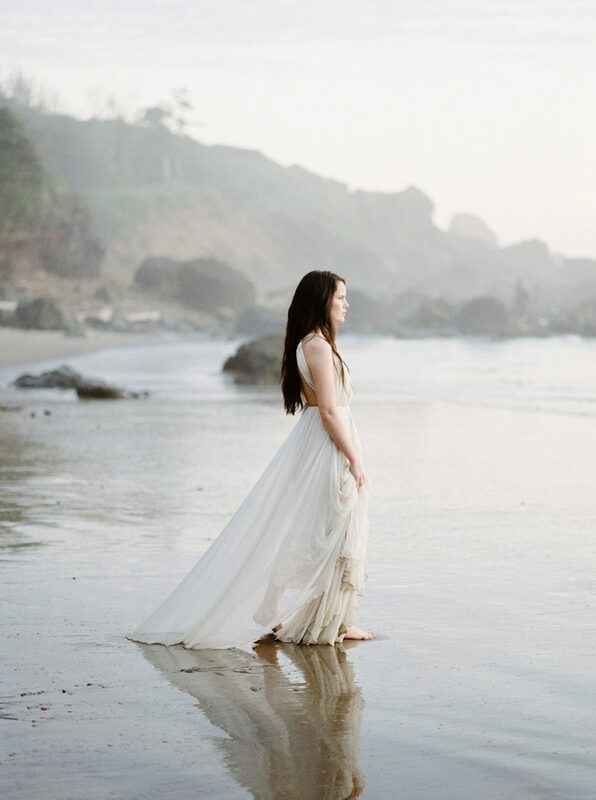 Today we’re thinking back to this glorious boho-glam beach elopement shoot by the lovely Anastasia of Olive Photography! 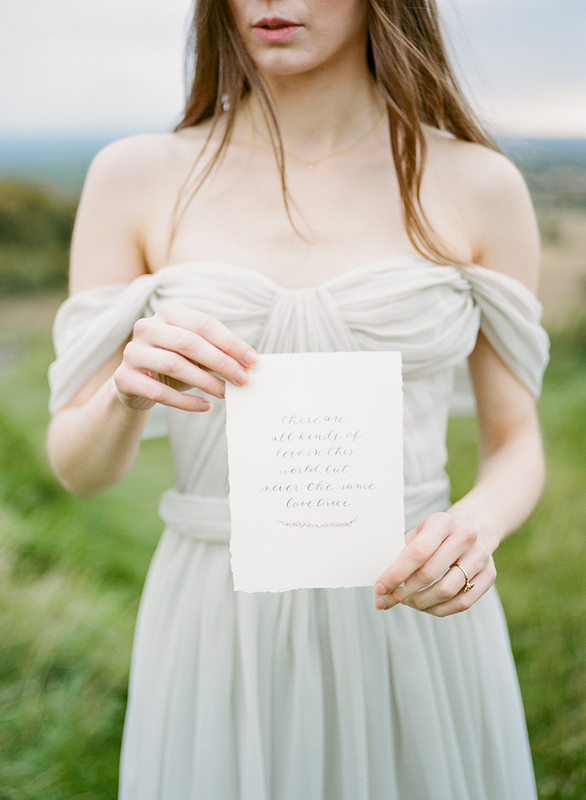 This inspiration was featured on the Green Wedding Shoes blog last summer. 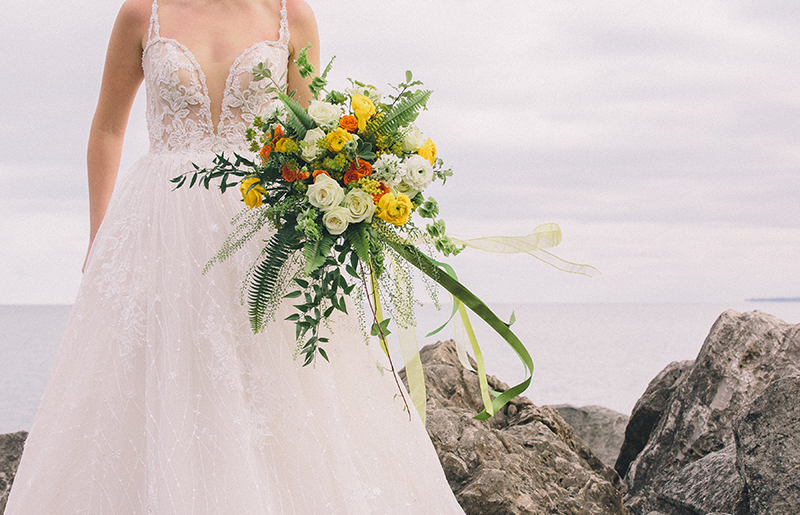 “Annie of Madison & Ella Inc. styled this editorial with the warm, rich golden colors of the sun and sand in mind, creating the perfect intimate ceremony and tablescape for two. The premise behind her vision was all about two wildly in love people who wanted to be married on the beach, just the two of them, celebrating their love under the sun. So they jump in their Volkswagen Mini Bus and drive to the coast to get hitched under a teepee with their vows printed on canvas and adorned with macrame accents. Pretty much a dream, don’t you think? Let’s see the beauty come to life in Olive Photography‘s captures below!” We couldn’t have said it better ourselves! 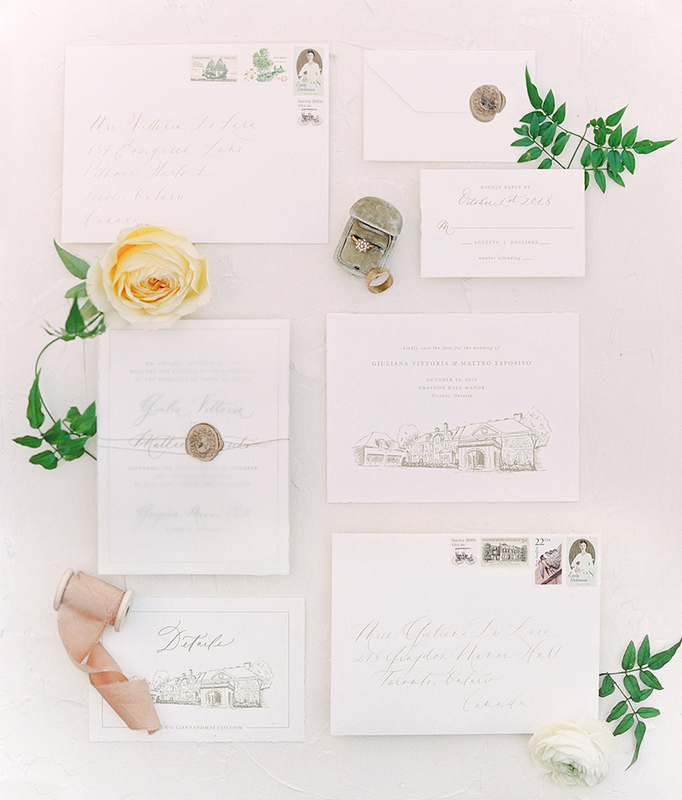 This inspirational shoot features no less than four of our signature designs! 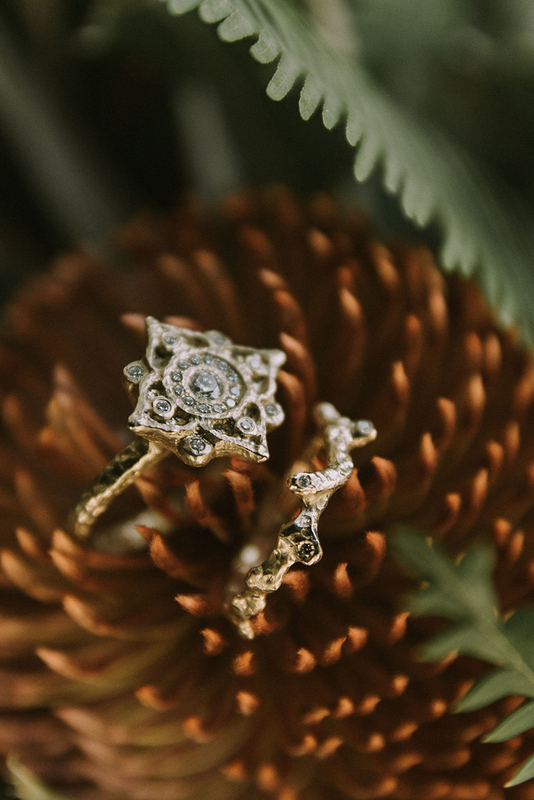 The Bohemian Halo (Mandala) Ring (14k gold with diamonds) is well paired with the Stackable Twig band (14k gold with accent diamonds) and suits the Boho bride perfectly! 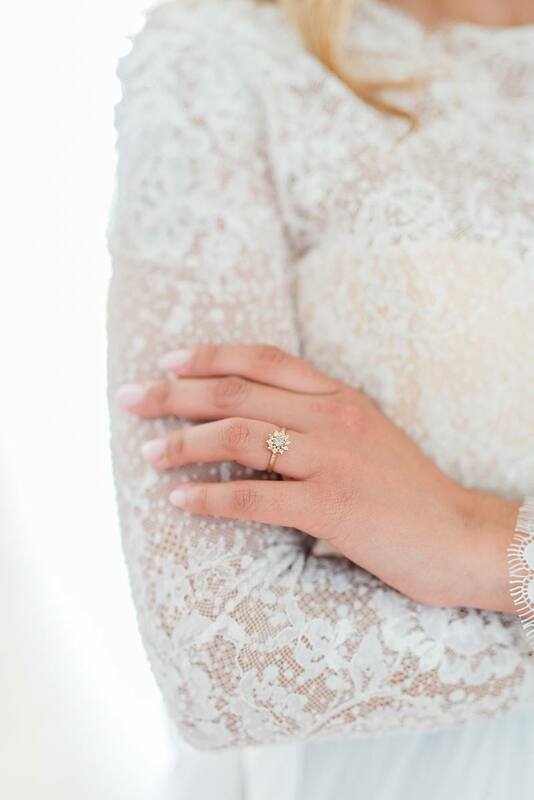 Our Inspiration Well signature design is a great statement choice for an unconventional and confident bride, paired with the delicate Elements band. As with all our jewelry, these designs are hand sculpted and created in Toronto, Canada. In the spirit of Through-back-Thursday, today we are reminiscing about the dreamy Style Me Pretty feature of Anouk Jewelry. 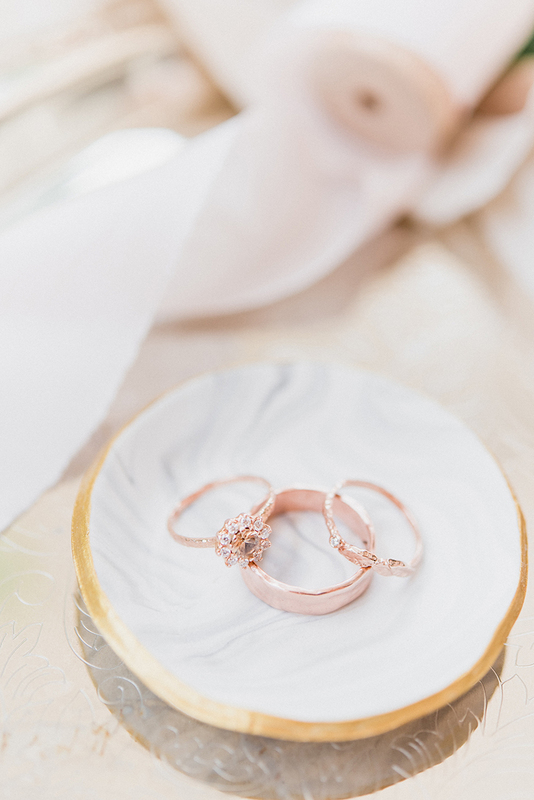 The peach-and-gold themed styled shoot was captured by the talented Whitney Heard of Whitney Heard Photography, and featured no less than three of our designs! 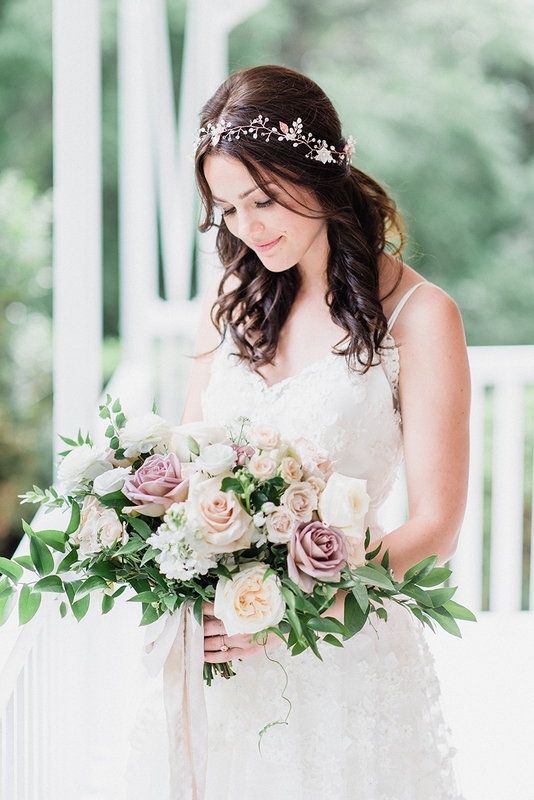 As Style Me Pretty put it, “A fresh approach to a beachside romance, this locally styled shoot featured a stunning backdrop, a romantic fishtail braid, and plenty of gorgeous gold accents, this inspiration a la Whitney Heard Photography was peachy-hued perfection”. 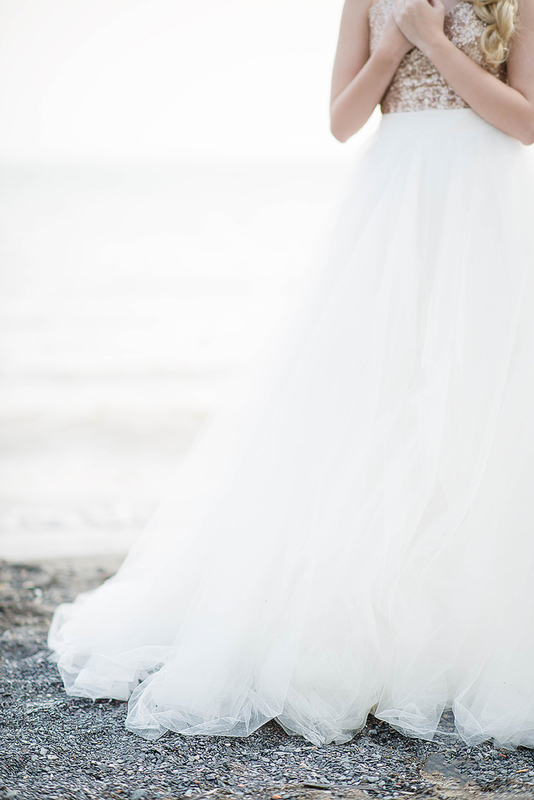 Adds Whitney …The Scarborough Bluffs on the edge of Toronto were the stunning backdrop for this lakeside shoot. We love the combination of the fishtail braid, flowing dresses, and gold accents, which will bring a little warmth to any spring wedding. 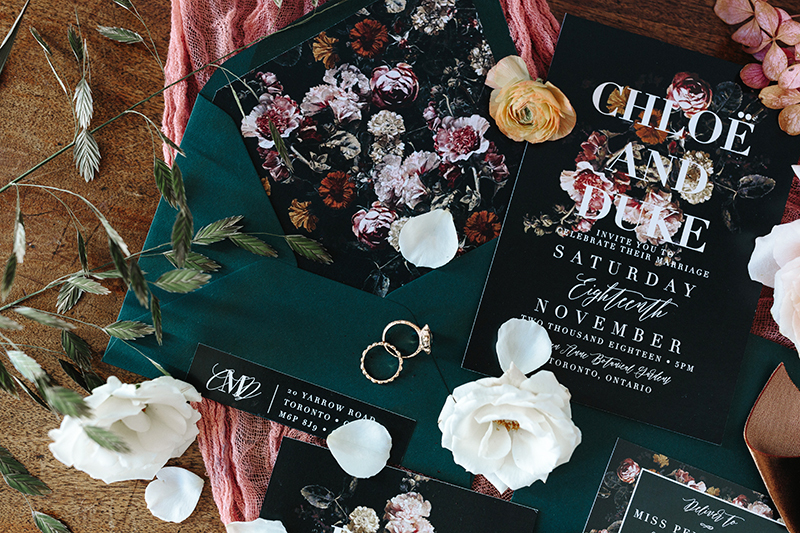 We took a fresh new approach to the blush colour palette by adding hints of peach and gold. 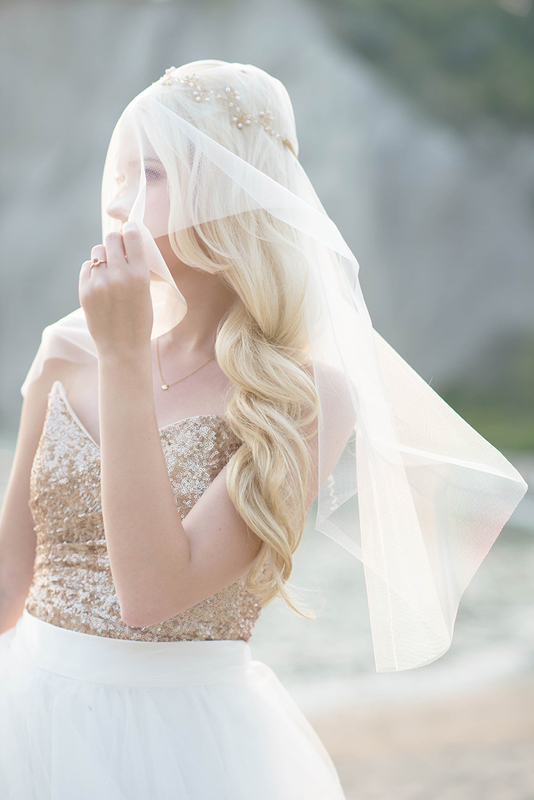 This inspiration shoot is perfect for the fun loving bride, who wants to shine on her wedding day! 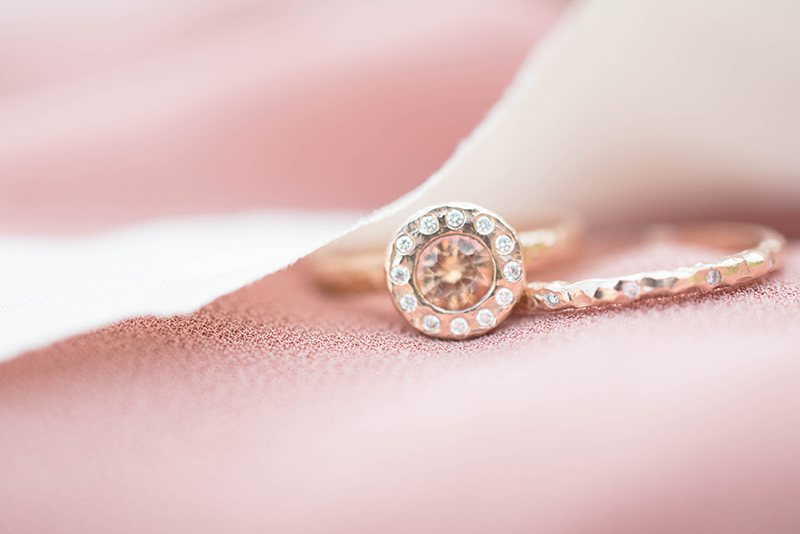 The bride wore our Peach Sapphire Halo ring, designed in 14k rose gold and features a deep peach sapphire centre stone, accentuated by a halo of a dozen sparkling diamonds. 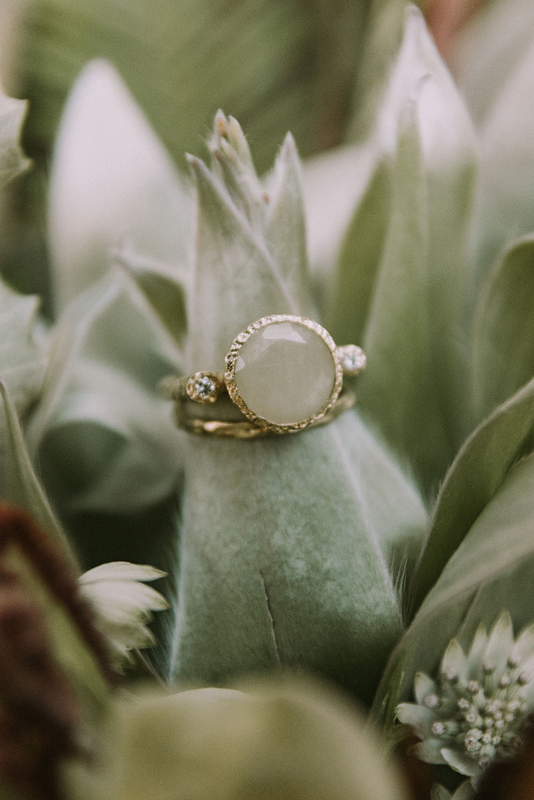 This unique engagement ring is a striking version of our Little Halo ring and is perfect for the bohemian bride planning her spring wedding. This unconventional engagement ring is beautifully paired with our signature Mountain Star studs and the delicate Seashore Dot necklace. 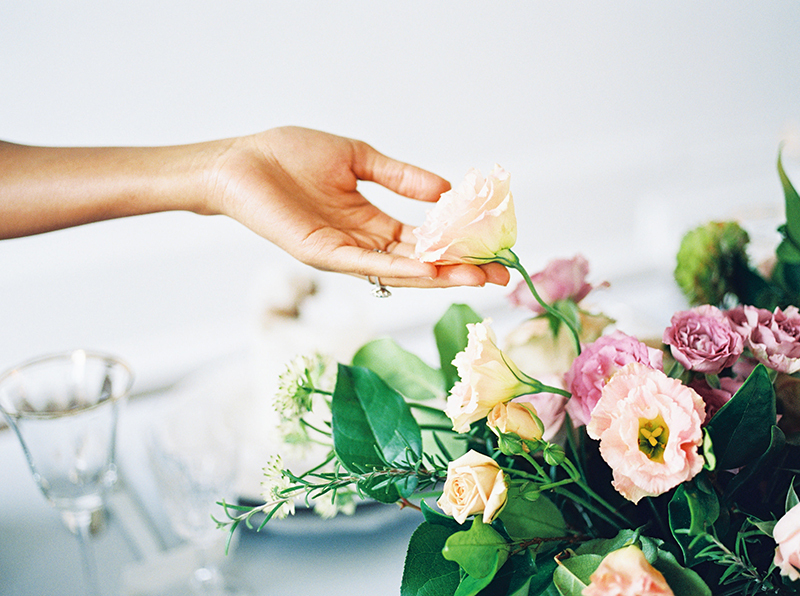 We hope you enjoy our selection of images from this inspiring spring-style shoot. 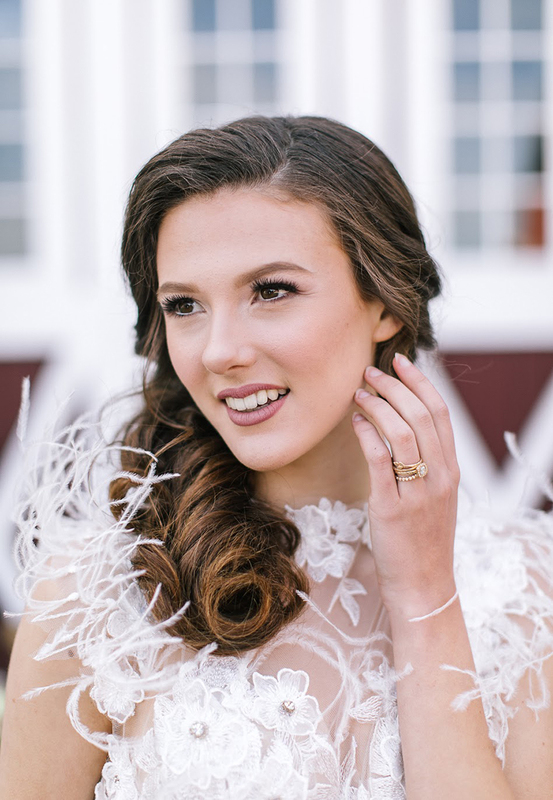 The ring Katie chose to feature in this styled photoshoot showcases a Rustic Canadian Cushion-cut Diamond in Anouk’s hand sculptured Halo design. The diamond’s sparkle shimmers mysteriously against the backdrop of an overcast day, bringing some of Canadian beauty to the West Coast landscape. 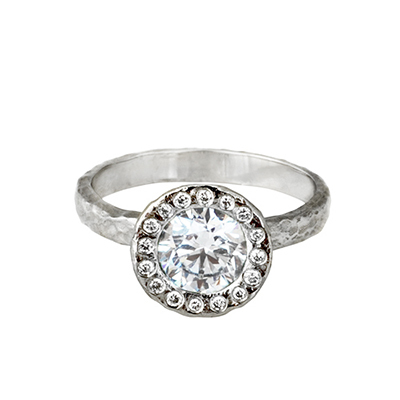 This bohemian engagement ring boasts a natural diamond set in a halo of accent diamonds. 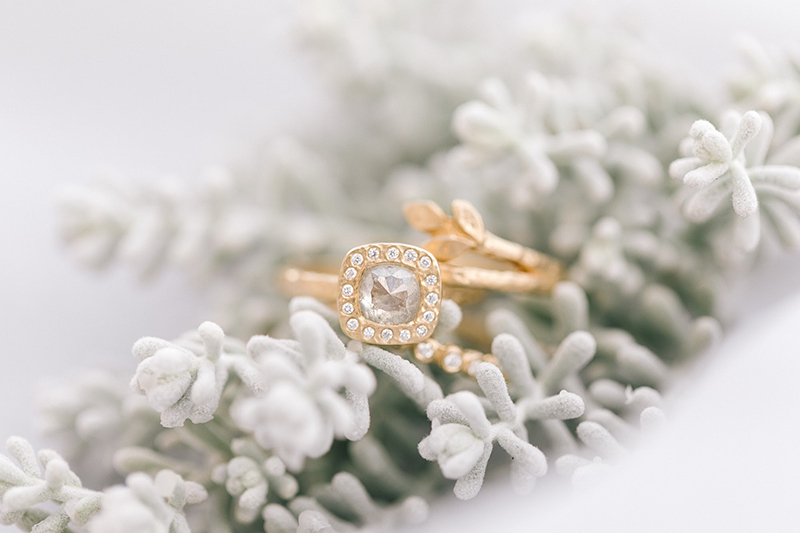 The rustic cushion-cut Canadian diamond is complemented by the hammered 14k yellow gold setting in a truly unique engagement ring design, perfectly suited for an alternative bride. 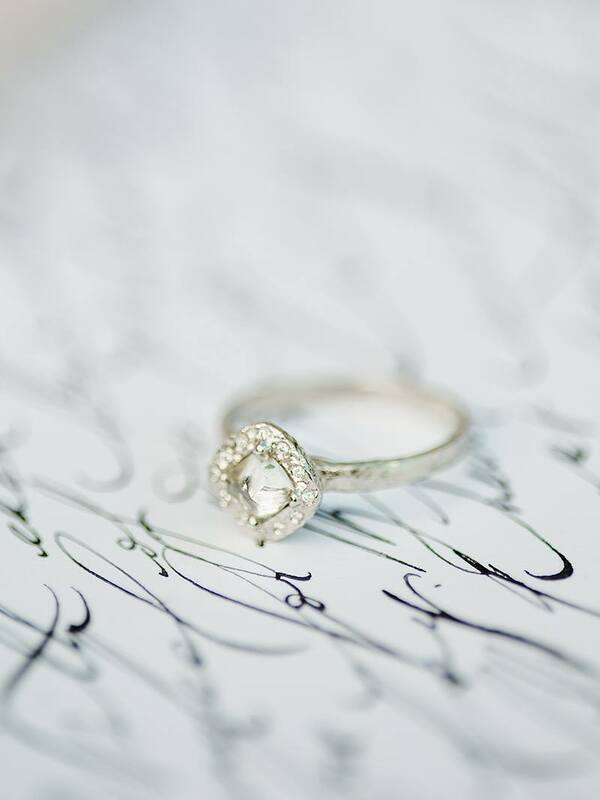 Whether you prefer a more classic style or an artistic charm, whether you’d like to reuse family stones or commission an heirloom to be treasured by your family, we love creating bespoke pieces that reflect your inner nature. All our jewelry is available in yellow, white and rose gold and with a variety of gemstones. Each Anouk Jewelry piece can be customised to suit your individual style. 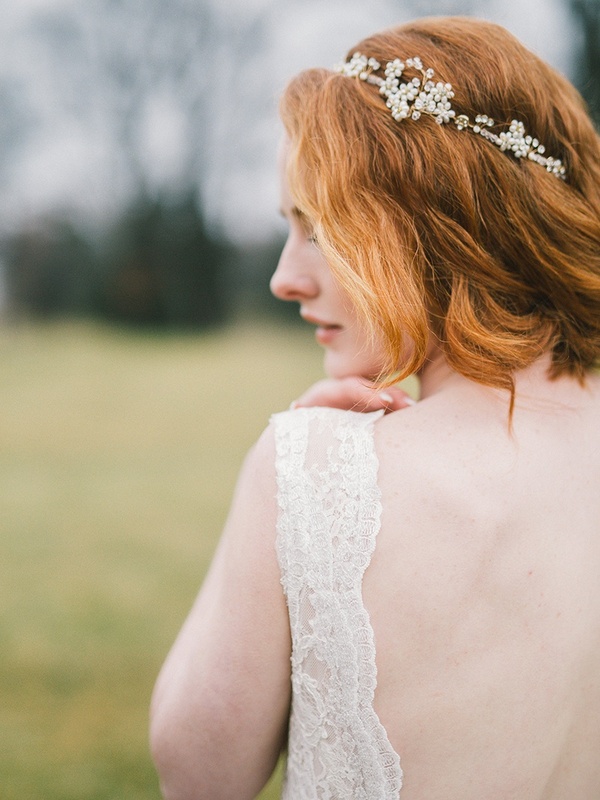 Anouk Jewelry participated in an original photoshoot, featured on this month’s popular bridal Vale & Vine blog. 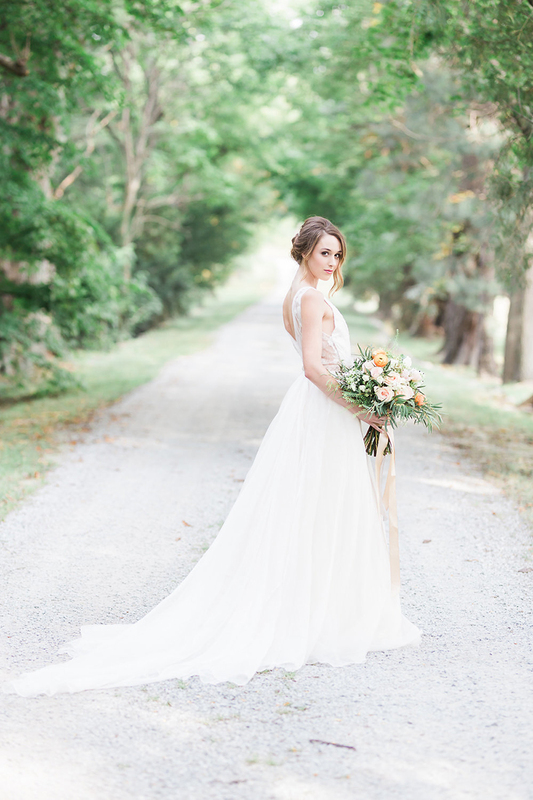 Curated and captured by Deanne MacRae of Deanne MacRae Photography, this country barn wedding inspiration shoot highlighted a bright and airy wedding style. The barn choice is perfect for a daytime wedding ceremony or reception with plenty of natural light, while also offering a shelter from the elements. 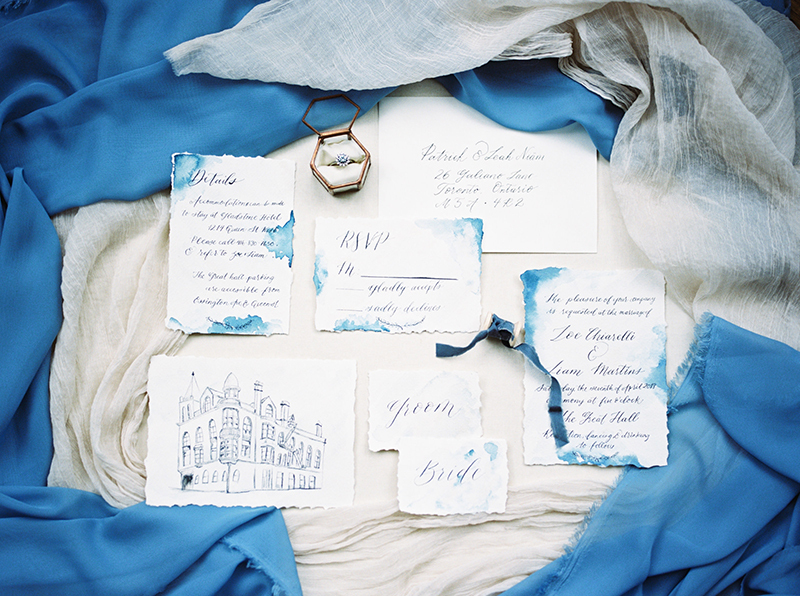 The blue and white palette, accented with bronze and pale rose colours offers both winter and spring options, while the textural elements ranging from the groom’s linen suit, to the cascading blue table runner, to the rustic cheeseboard and weathered barn walls, provide elegant touches well suited to a country fête. Anouk’s vintage-inspired Rosetta ring with a central champagne-coloured diamond is created in 14k yellow gold and features a halo of accent diamonds. 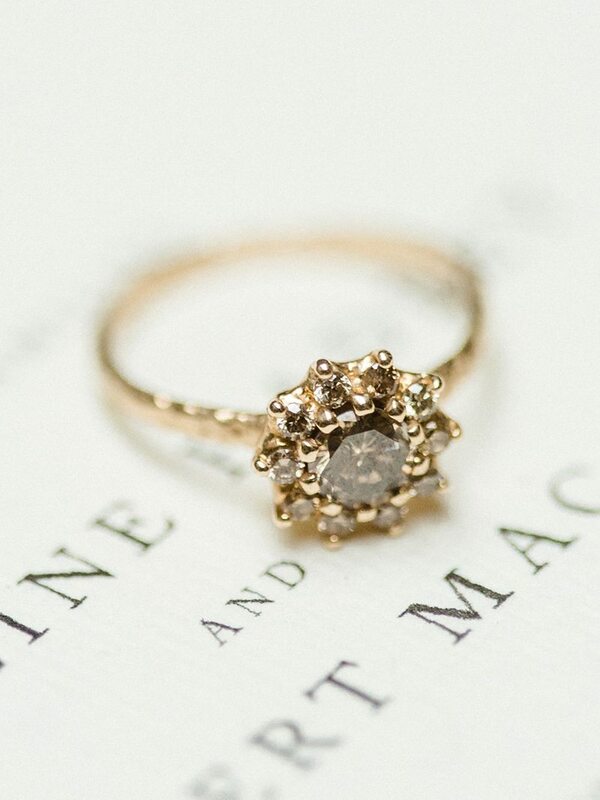 This bohemian engagement ring is a perfect combination of rustic and classic, elegant and unconventional, organic and whimsical. 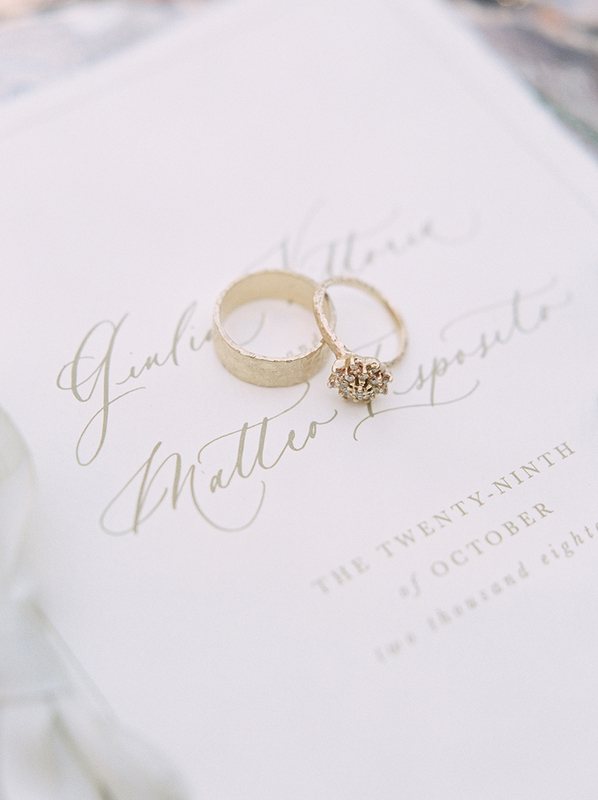 Champagne diamonds are beautifully subtle. 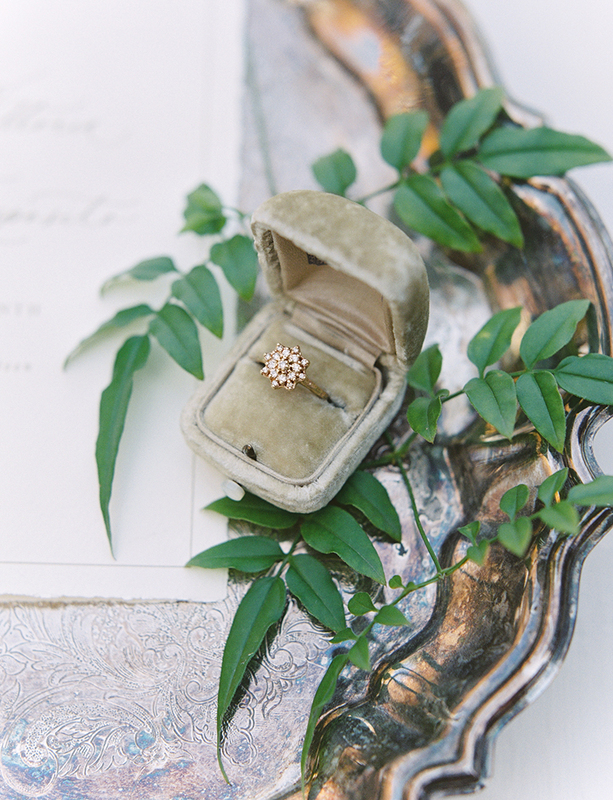 Their heirloom vibe is perfectly highlighted in this vintage-inspired setting. 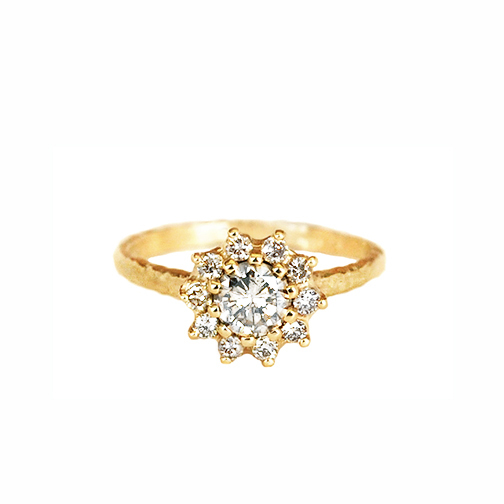 The soft golden colours of the diamonds contribute to an understated look of this unique engagement ring. A wonderful alternative to a traditional sparkling fashion, this particular style is both understated and timeless. We invite you to browse our non-traditional engagement jewelry collection here. 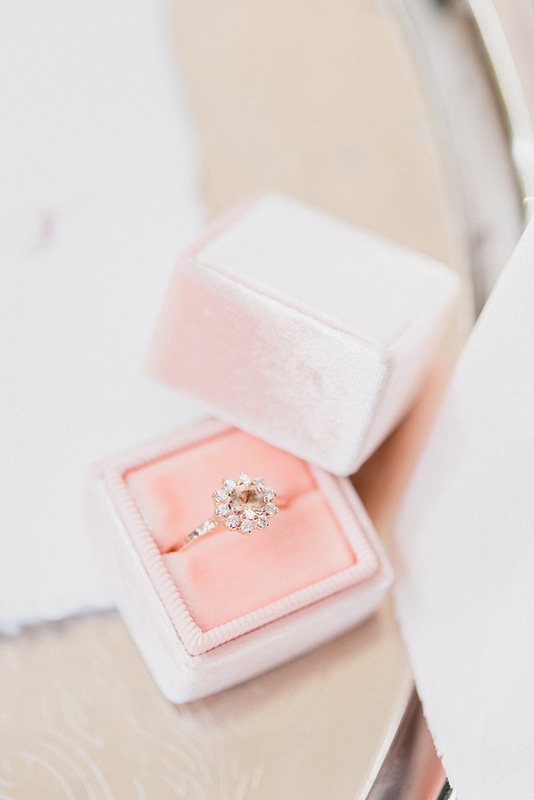 Our custom version of a Vintage Rosetta Ring was featured on The Wedding Co‘s blog earlier this summer in a story by the lovely Phoebe Lo of Helloinspira photography. The inspiration for the photoshoot came from the location itself, the prestigious St. George Golf and Country Club. “The formal dining hall is transformed with a rustic design that features an organic style, fresh centerpiece accentuating the deep mahogany harvest table. This rustic display is presented with details and accents in the colour theme of ivory, grey and blue,” explains Phoebe Lo. 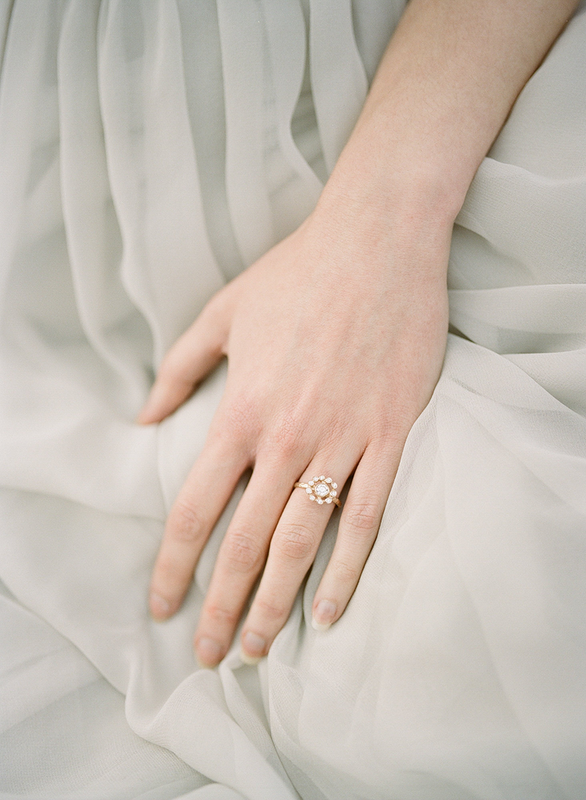 Anouk Jewelry’s 14k Vintage Rosetta Ring, featuring a luminescent light blue sapphire in a halo of accent diamonds compliments the theme of the shoot perfectly. 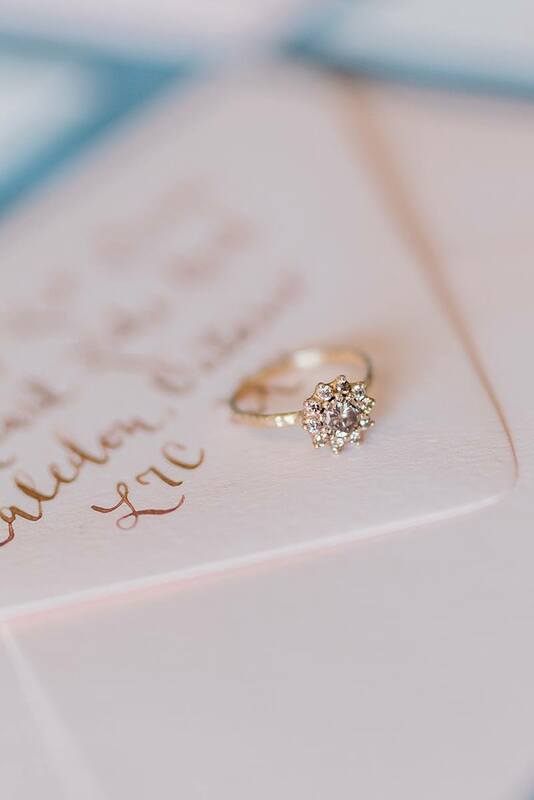 The elegant shape, inspired by the vintage style coupled with an organic design, results in a unique engagement ring suited for an alternative bride. 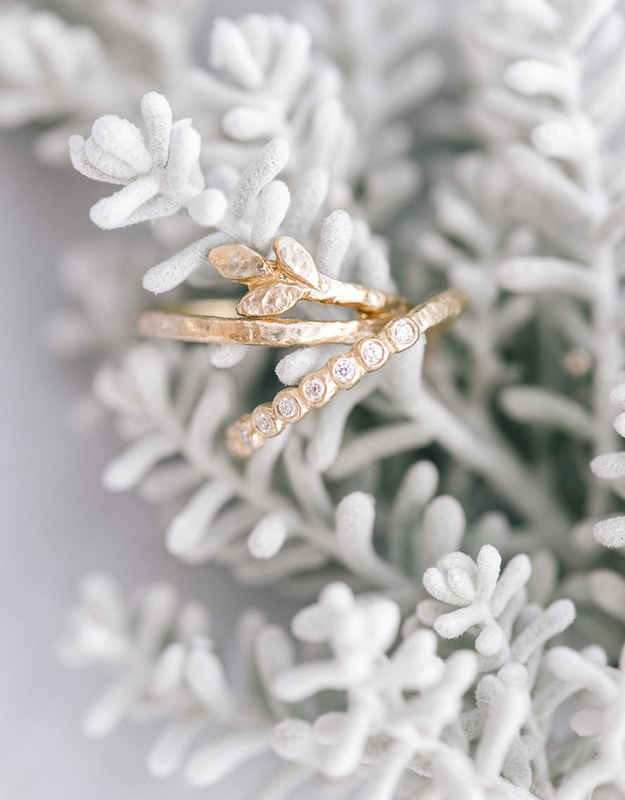 Our ethical jewelry is designed and cast in Toronto; our diamonds, sapphires and other gem stones are sourced locally from well established suppliers. As with all signature engagement rings, this white gold beauty is hand carved and sculpted to a rustic perfection. 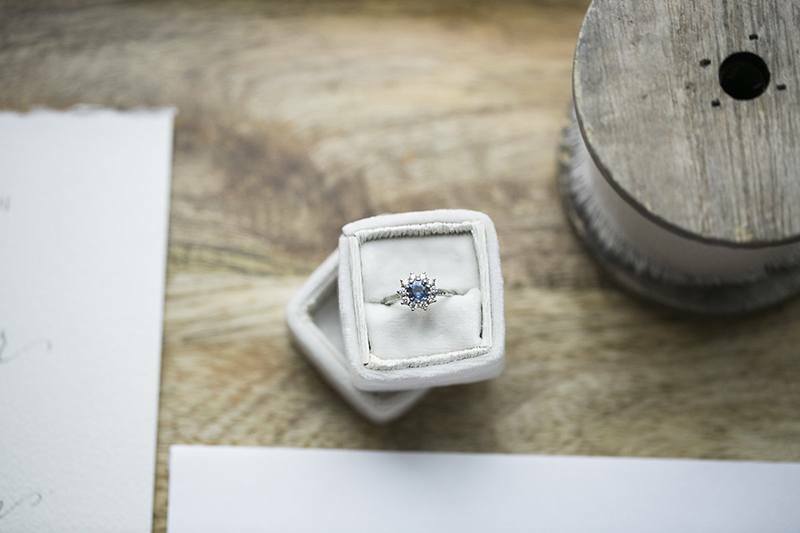 The timeless blue sapphire is a perfect choice for an original and unique ring. Each design from our collection is fully customize-able to fit with your distinct and unconventional style. You’re welcome to take a look at our custom jewelry gallery here. 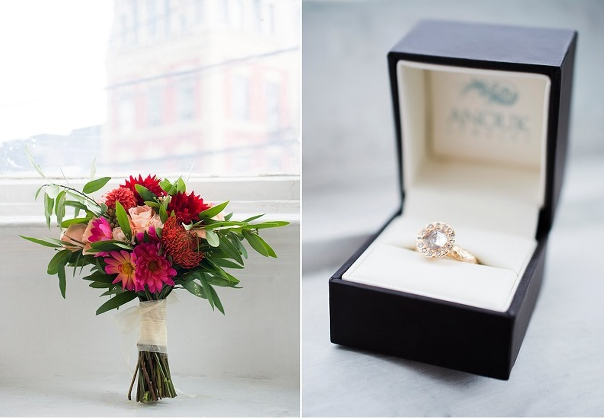 Anouk’s Bohemian engagement ring is beautifully fitted for this bridal inspiration shoot. 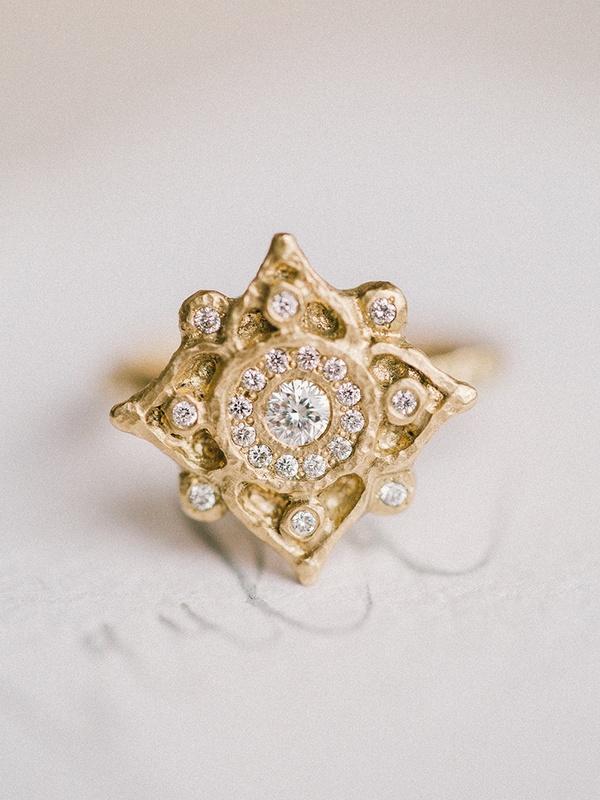 This piece was hand carved and cast in 14k recycled gold, incorporating conflict free central diamond, surrounded by a halo and an array of accent diamonds. This piece is inspired by the Eastern concept of the Mandala and the lotus flower. In the Buddhist culture the Mandala represents the universe, while the lotus flower stands for purity. 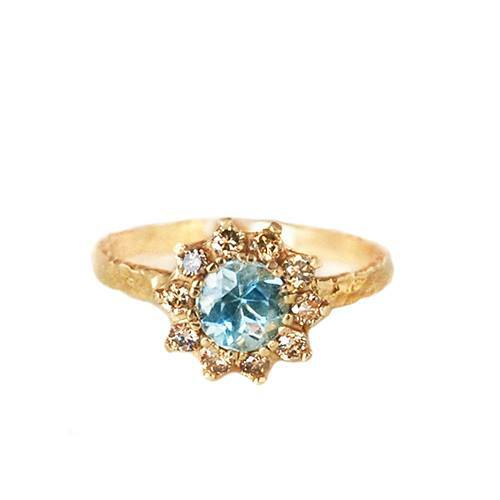 This unique engagement ring is a perfect fit for a non traditional boho-bride, looking for a distinct artistic statement. Created in recycled white gold, the featured ring echos the textures found in nature. 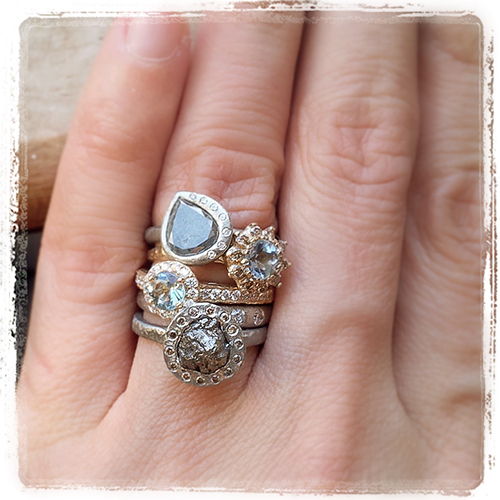 Anouk Jewelry’s hand sculpted organic design highlights the natural look of the untreated central diamond. The non traditional rough diamond engagement ring is an original alternative for the nature loving couple. The accent diamonds halo compliments the beauty of the central rough diamond and brings out its natural brilliance. 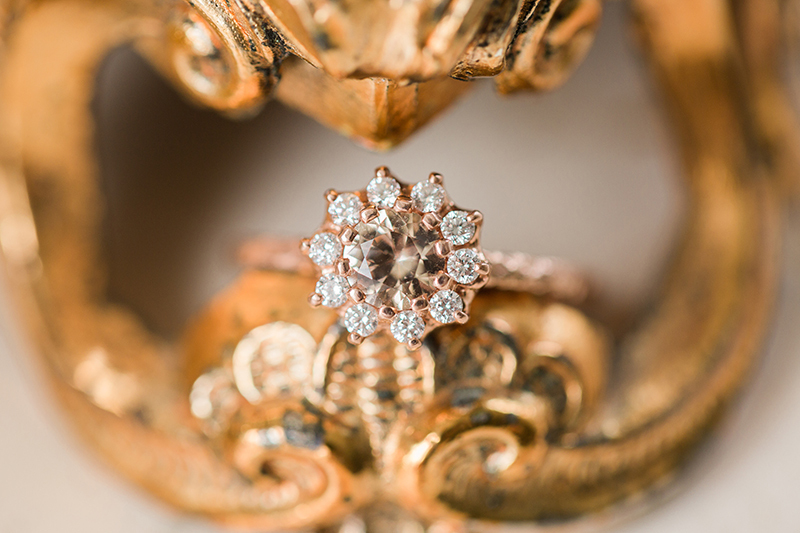 The eternal elegance and unconventional design of the ring mirrors the individual personality of a bohemian bride. We happily share these beautiful images from the Magnolia Rouge feature in July 2016. 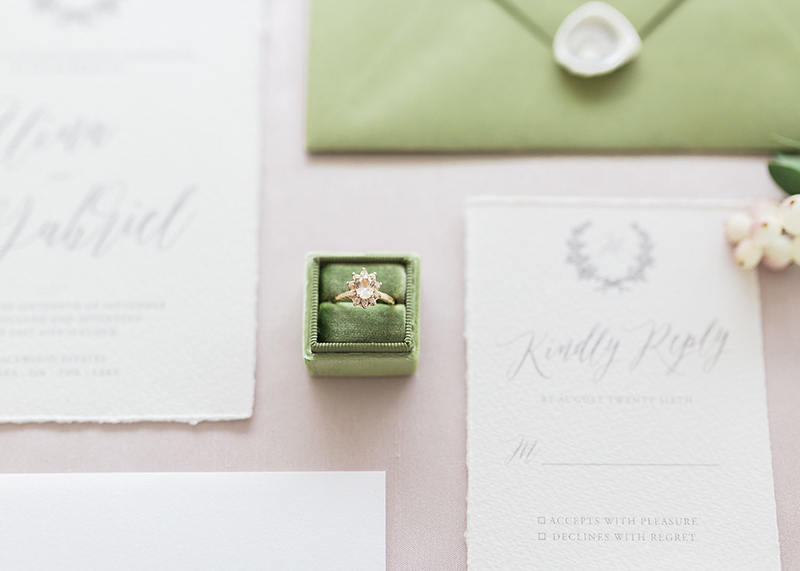 Shot by the talented Katie Nicolle Photography in the lovely Hacienda Sarria, this wedding story showcased our vintage-inspired champagne engagement ring. 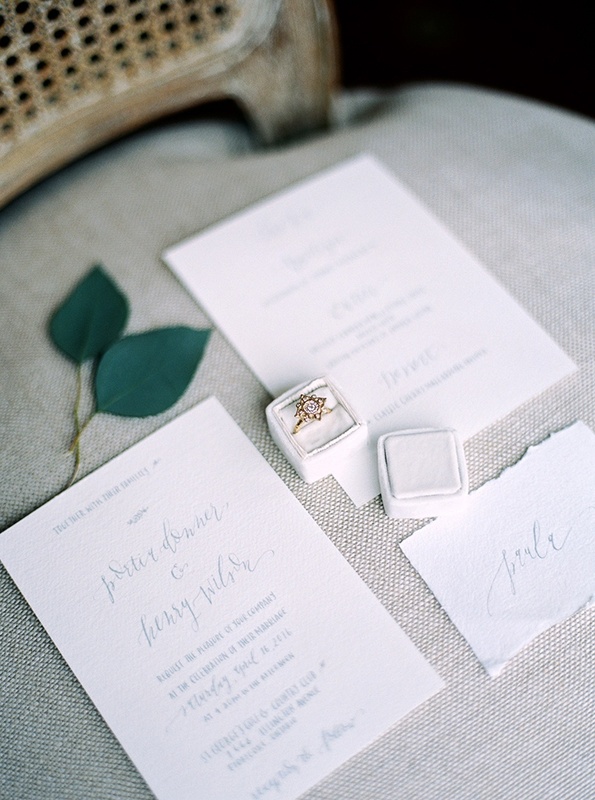 The elegance and simplicity of the colour palette add to the romantic mood. 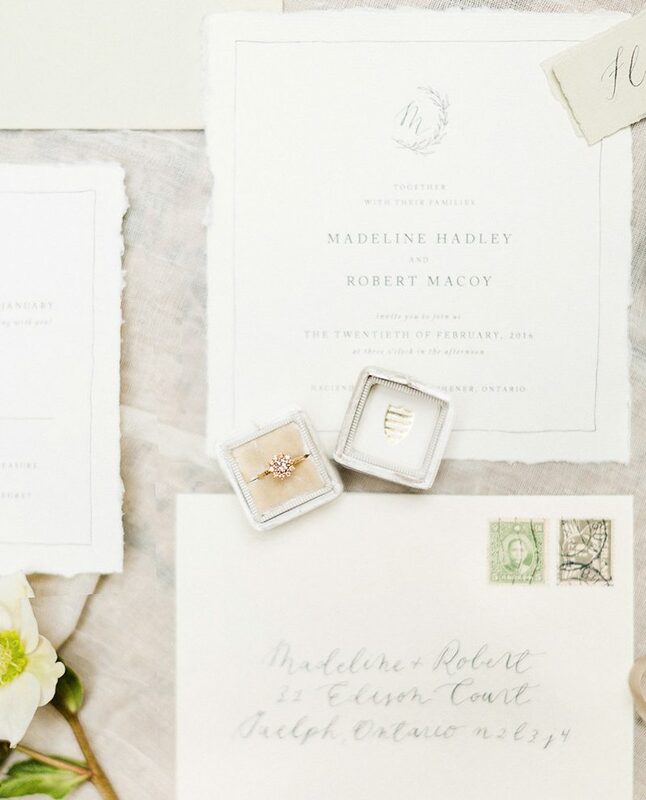 We love the European touches and the timeless feel of this photoshoot! 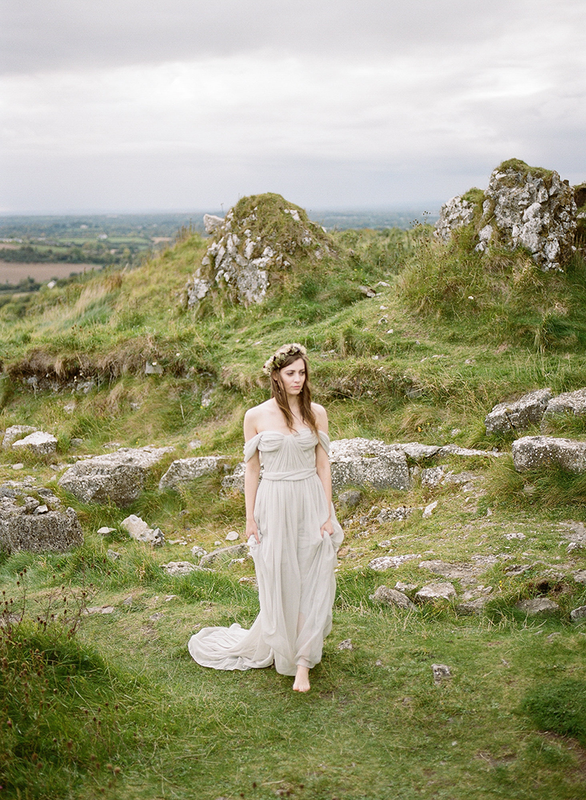 Anouk Jewelry collaborated with Kayla Yestal Photography on a beautiful and inspirational bridal photoshoot in County Laois, Ireland, featuring our Floating Halo engagement ring and Seashore Dot necklace. The story was published on Magnolia Rouge blog in March 2016. Exciting News: Anouk Jewelry is now available on Diamond Foundry! We are proud to be part of Diamond Foundry’s new collection. most ethically and environmentally conscious cultured diamonds available today. in the San Francisco Bay Area. What a wonderful alternative to mined diamonds! Please take a minute to browse the Anouk collection on Diamond Foundry’s website. Treasure your milestones, celebrate your love, create memories! Tree Bark wedding bands! Getting married? 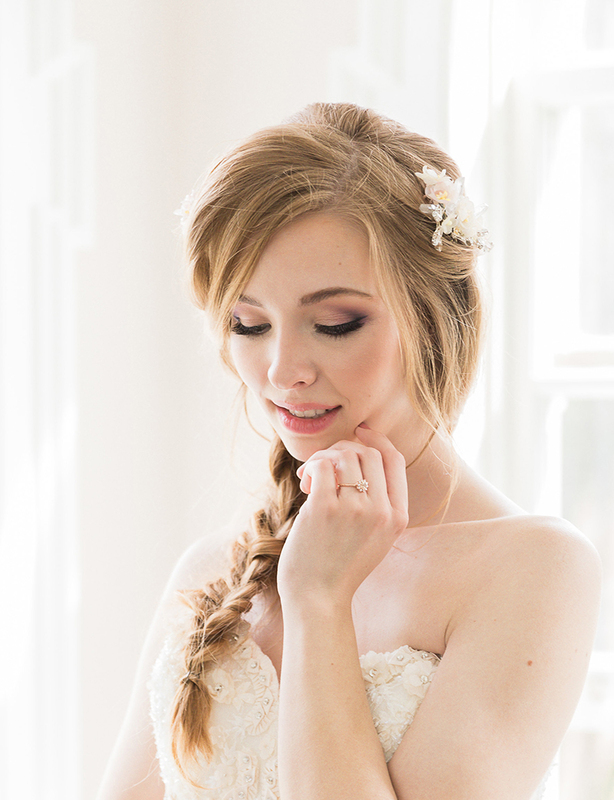 Check out the ANOUK Wedding collection! 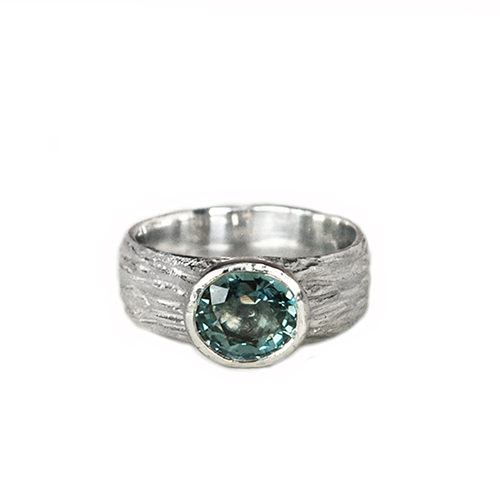 Stay warm with this sunny rustic sapphire ring! Truly one of a kind! A preview of summer! 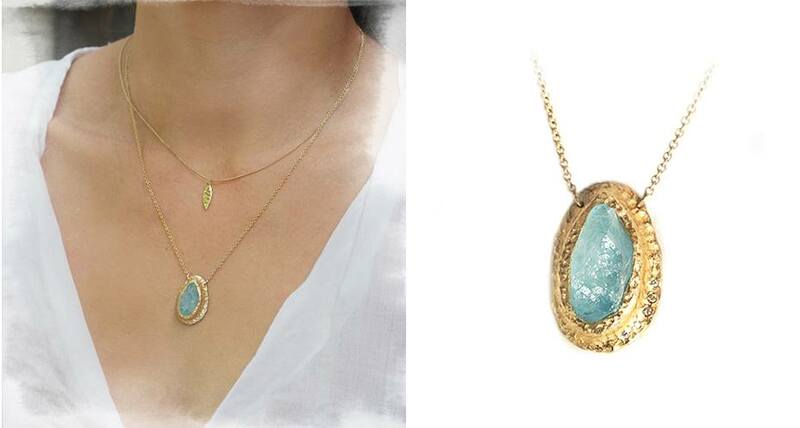 Rough aquamarine and diamonds necklace. I can’t seem to be able to part with it, could you?